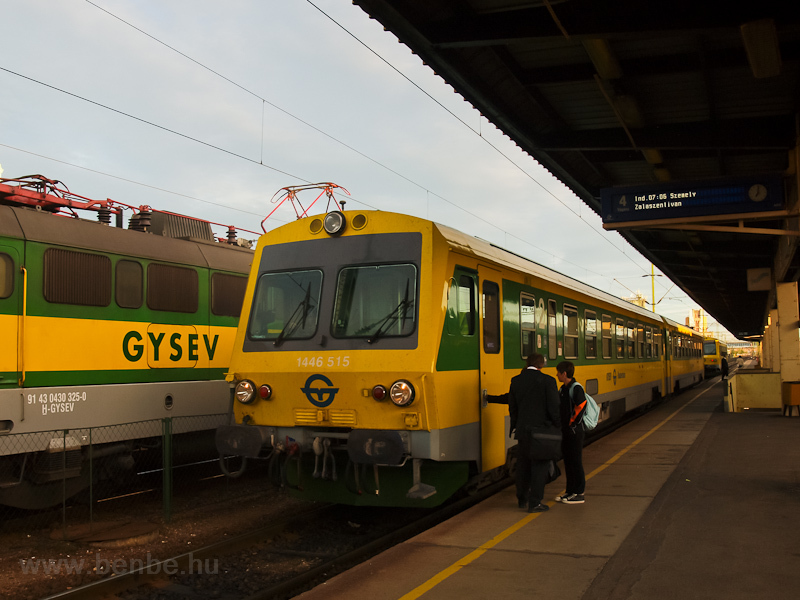 GYSEV and not GYSEV, railways under electrifiation and a lot of trains. 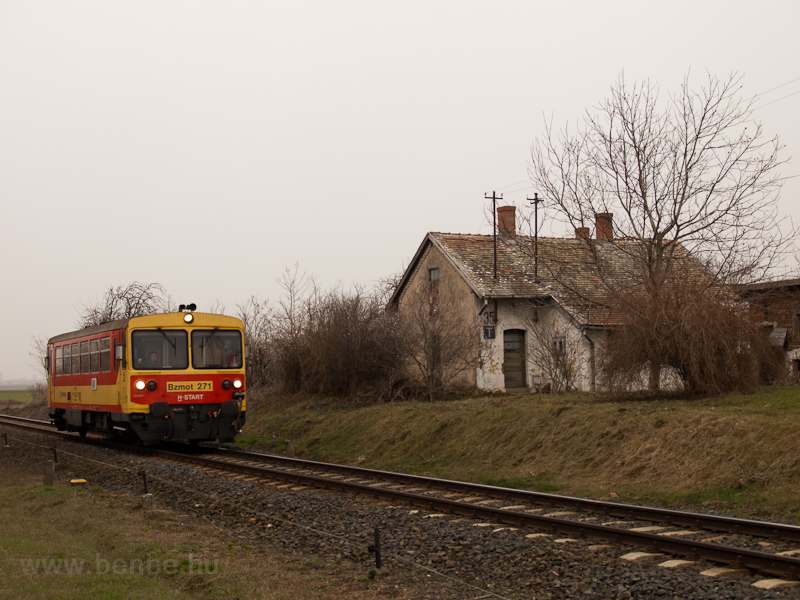 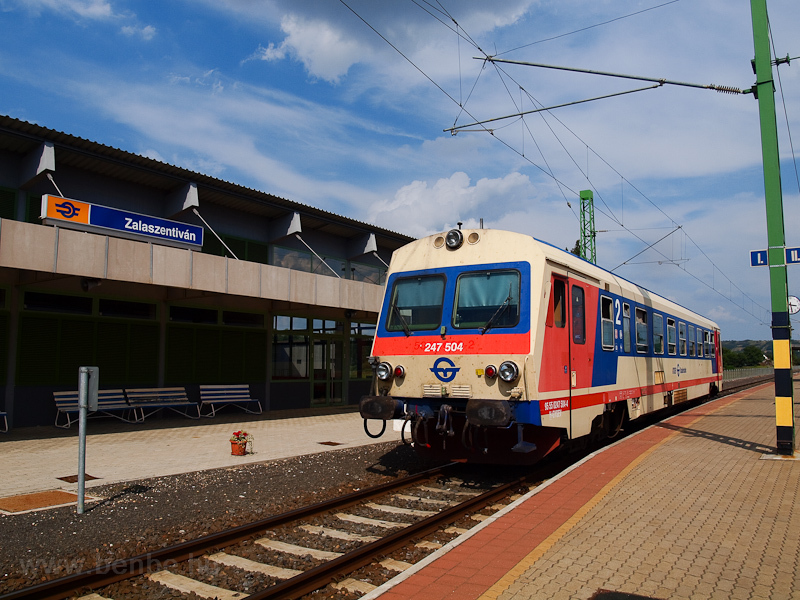 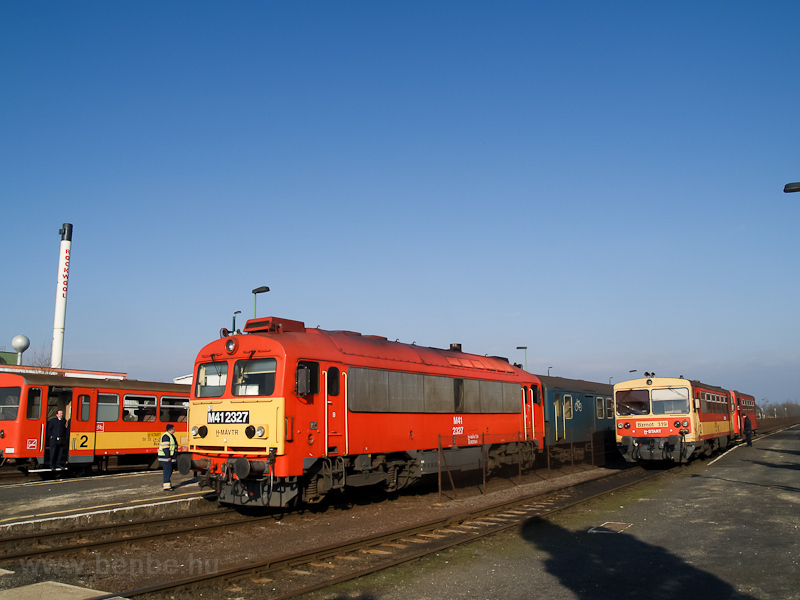 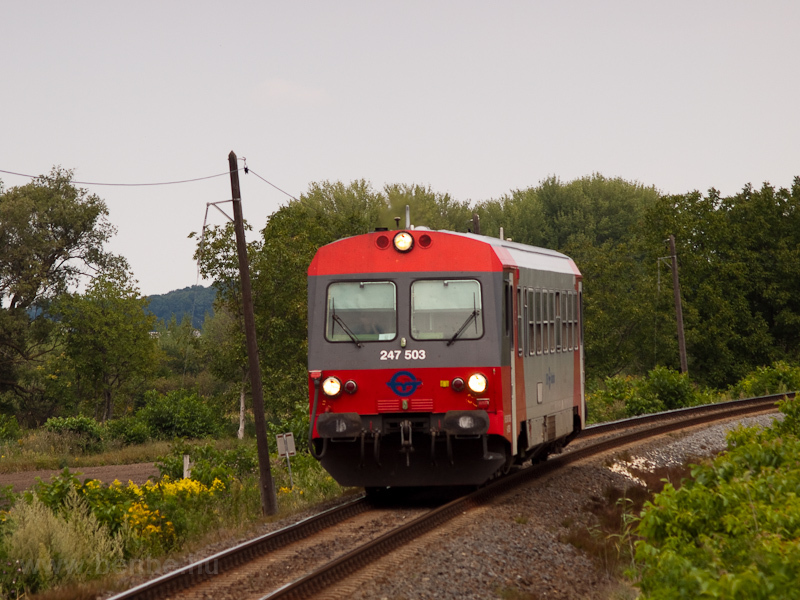 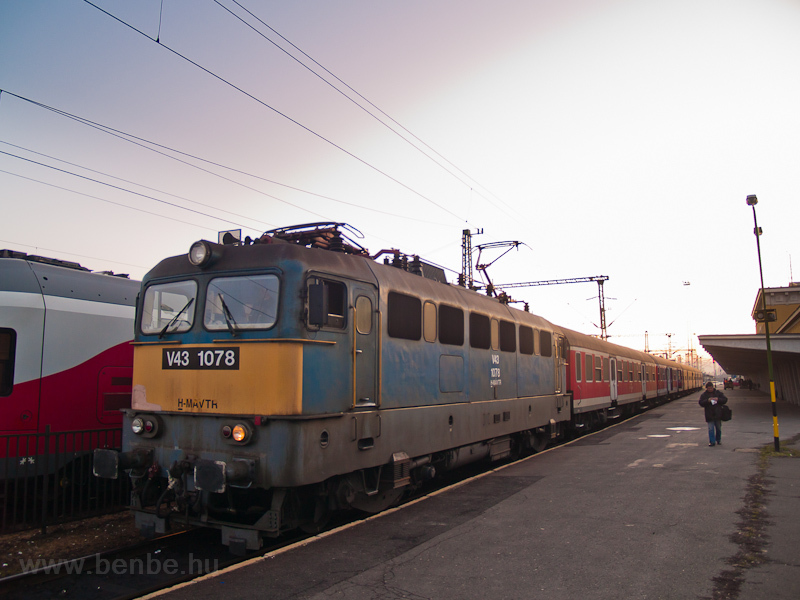 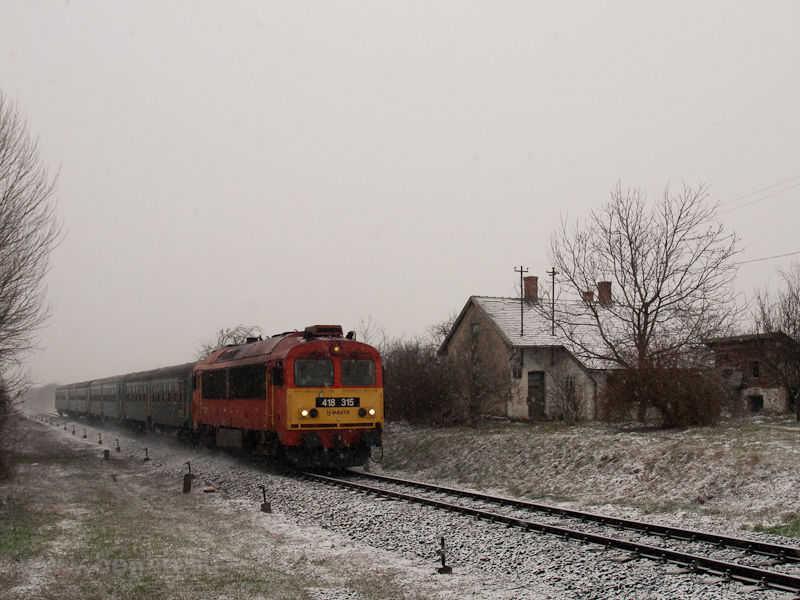 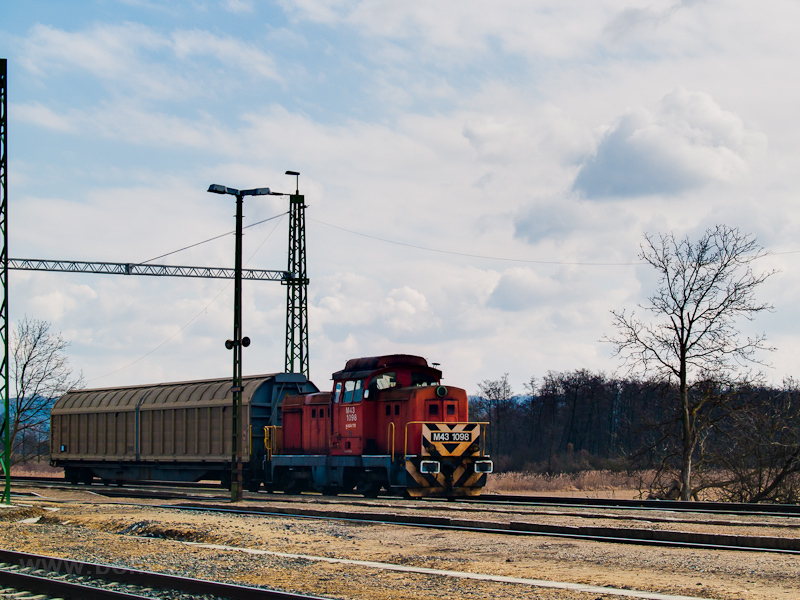 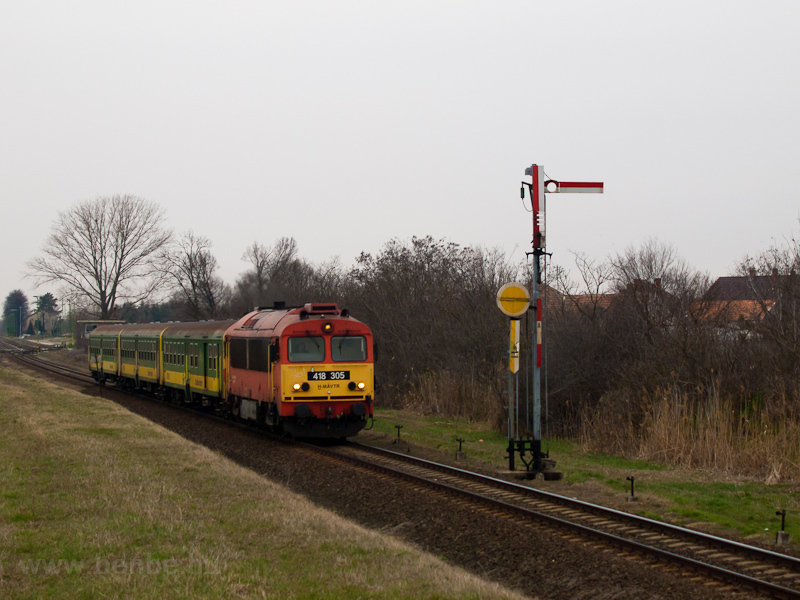 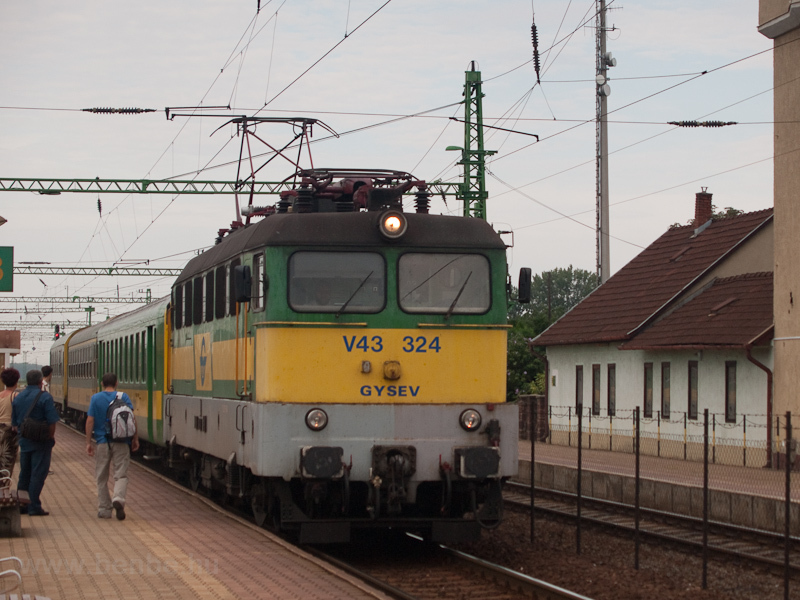 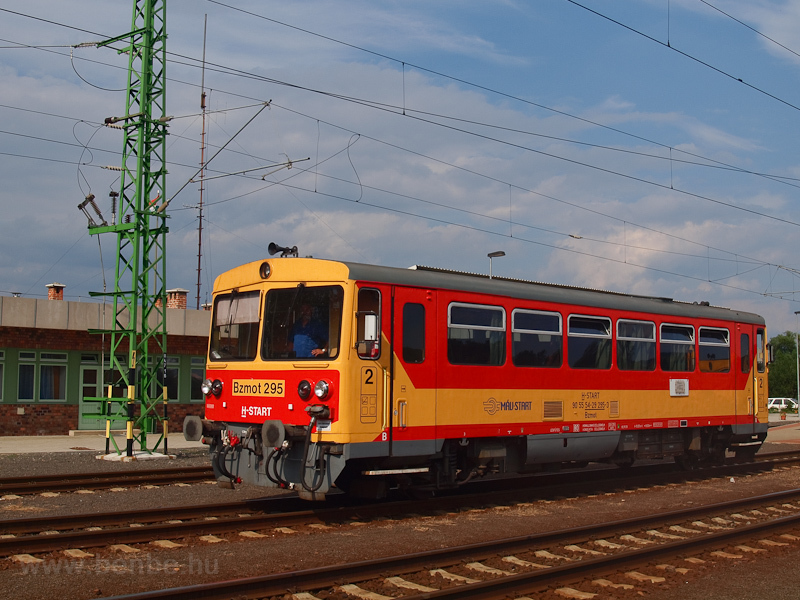 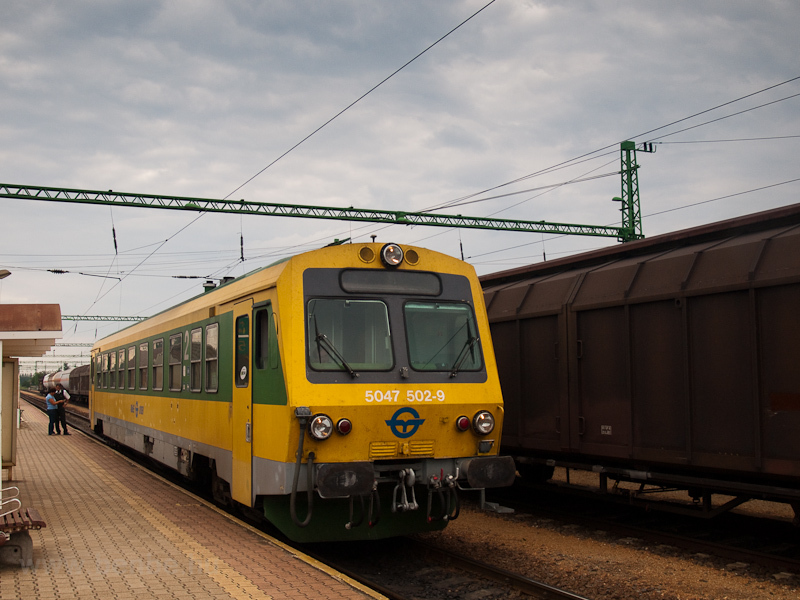 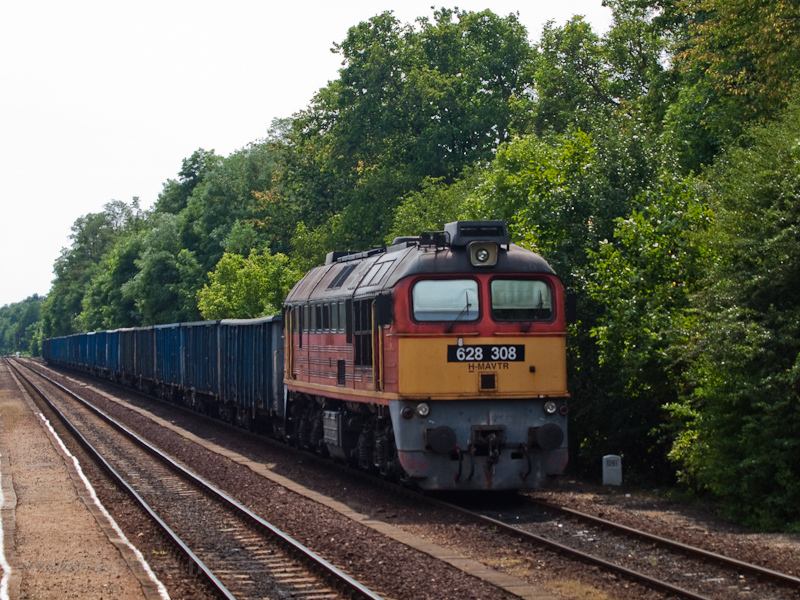 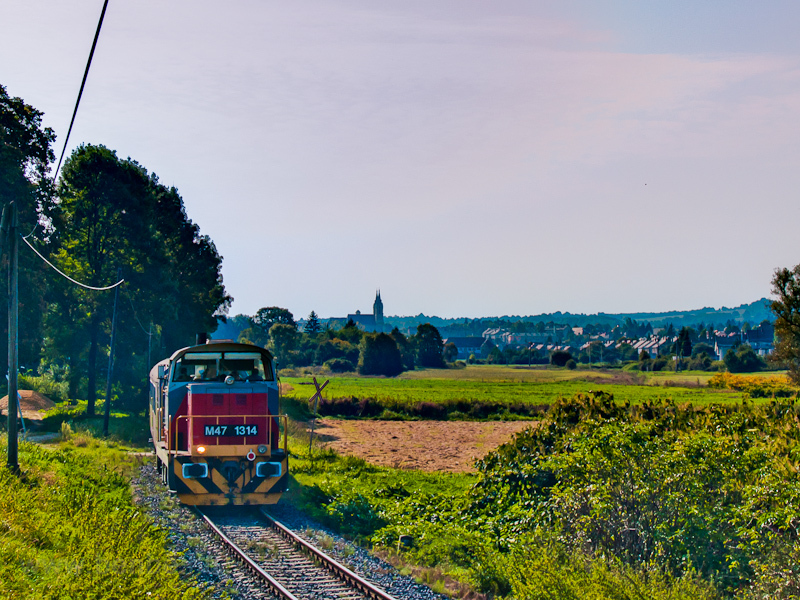 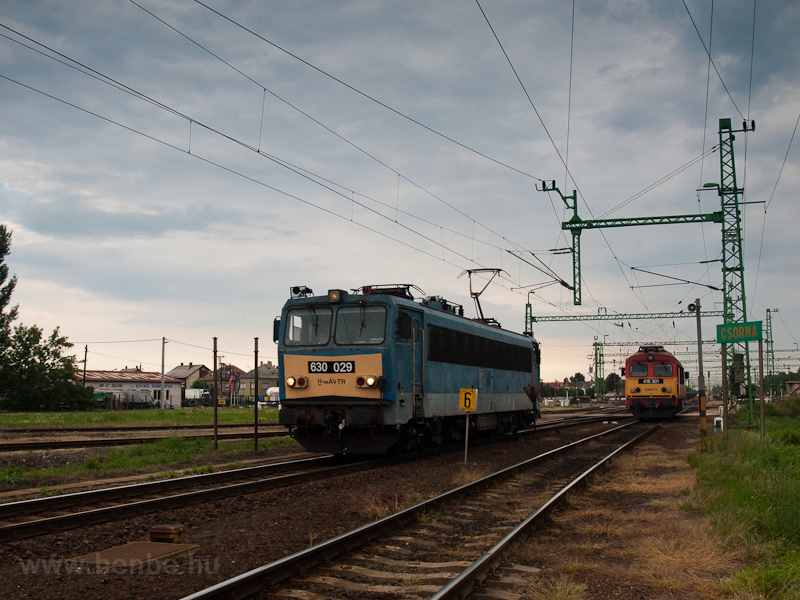 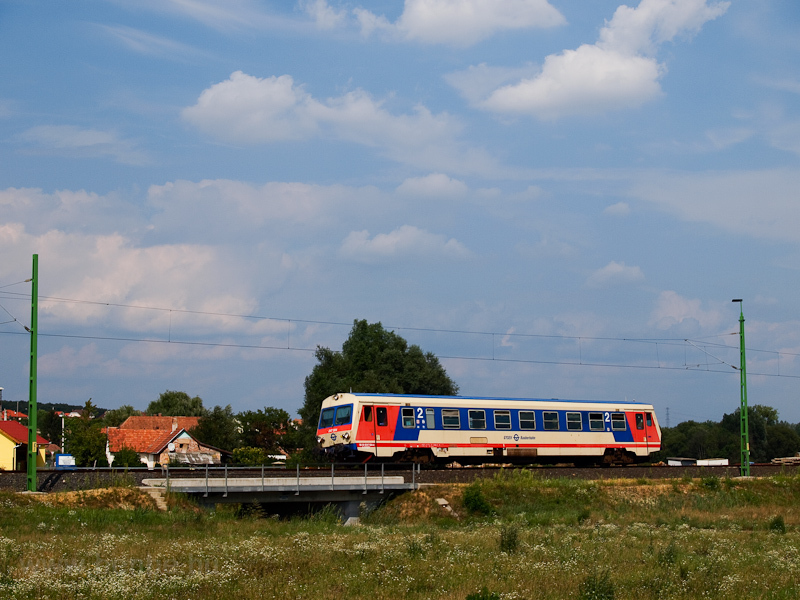 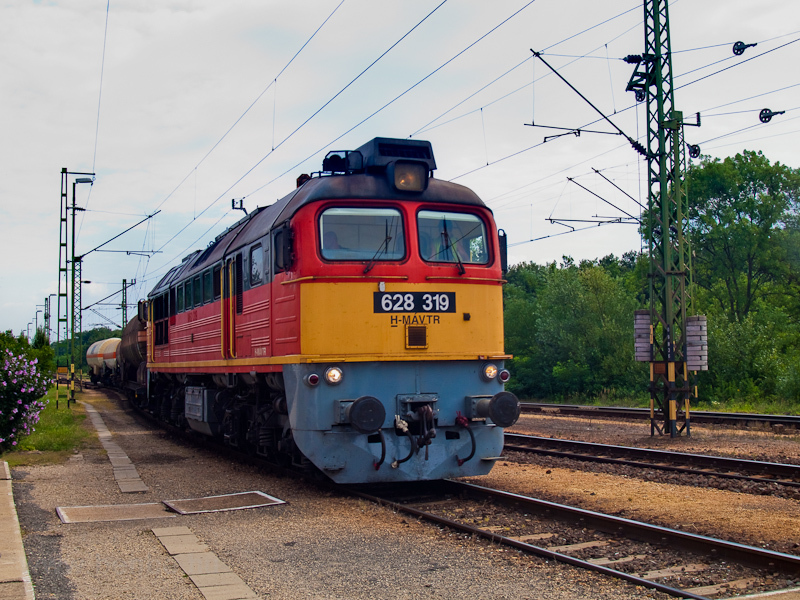 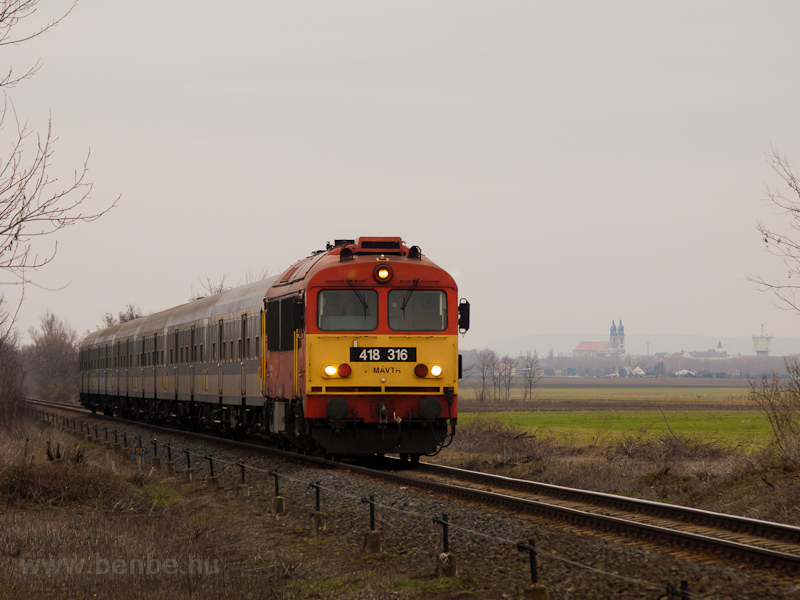 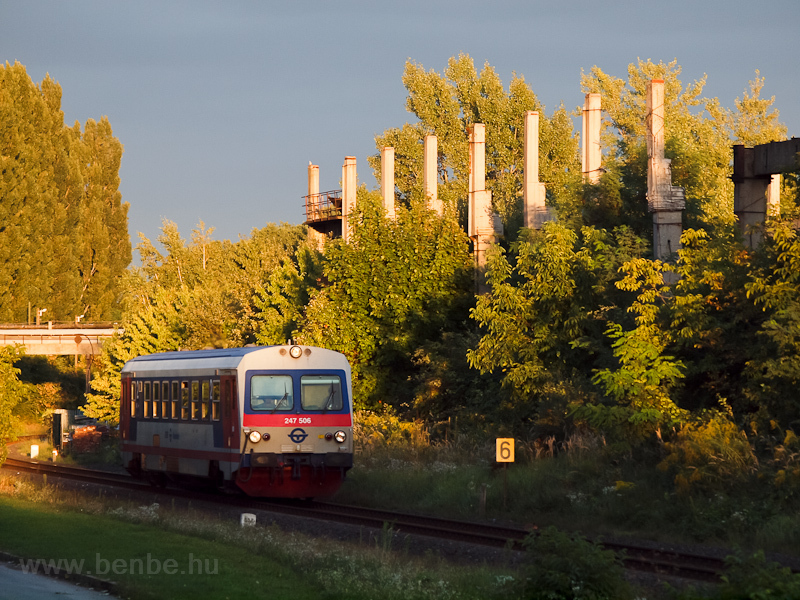 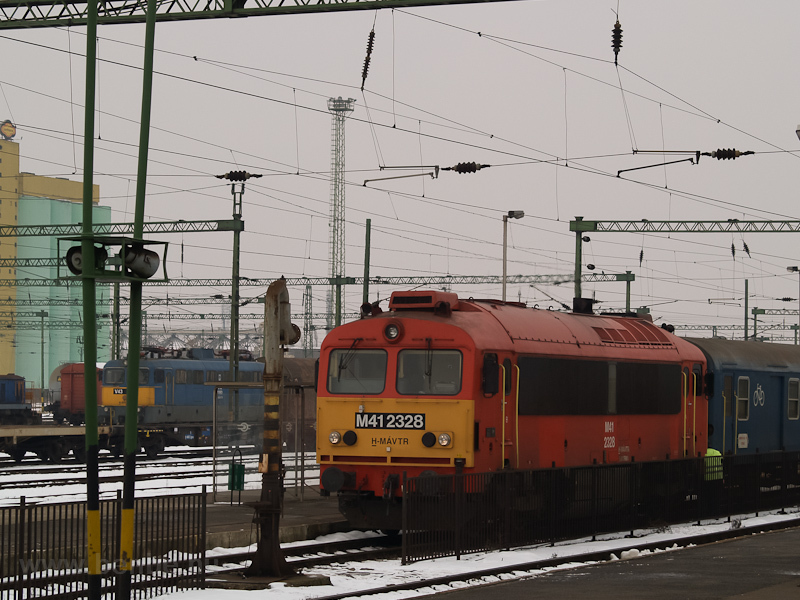 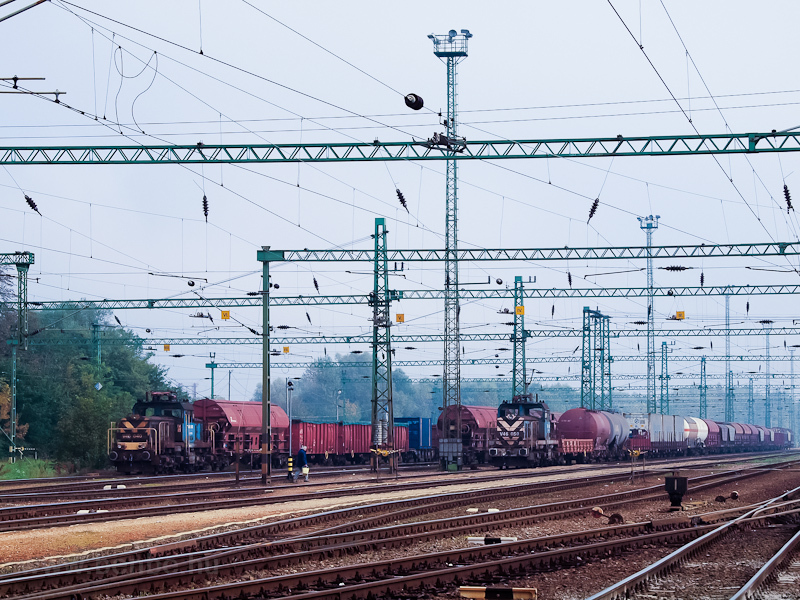 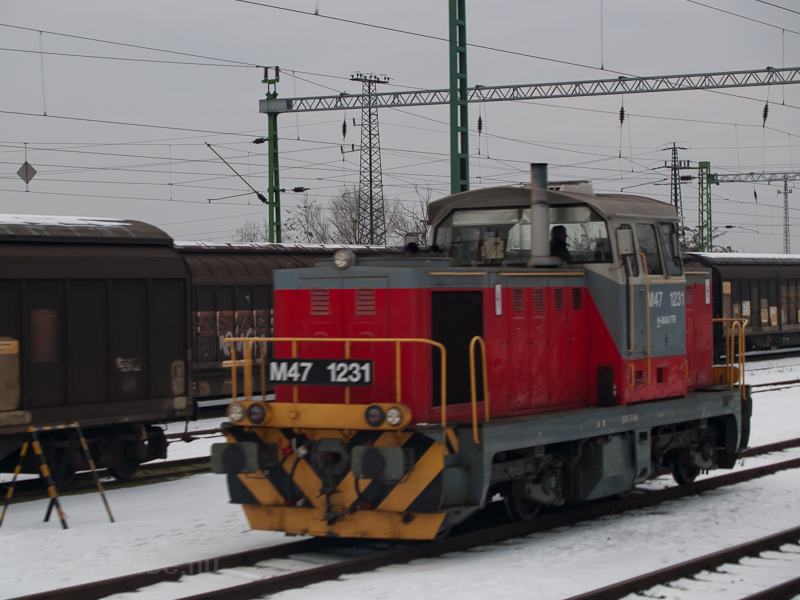 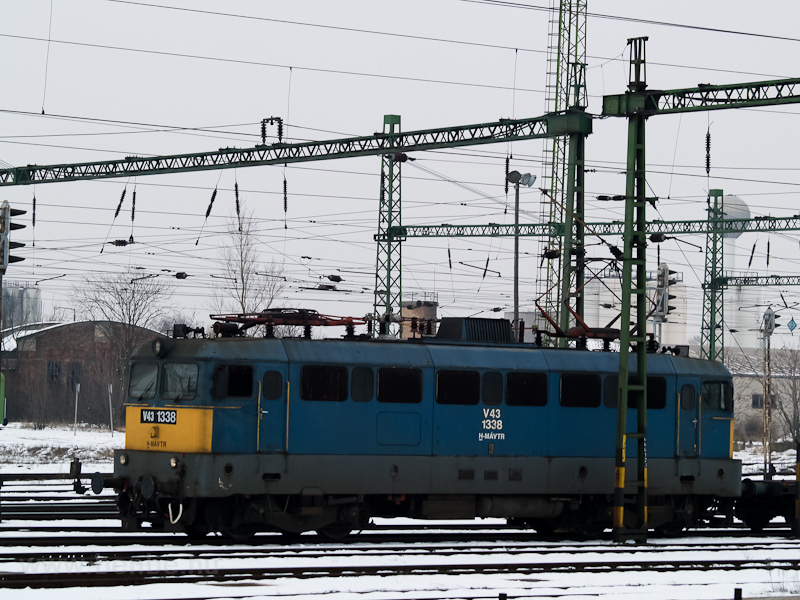 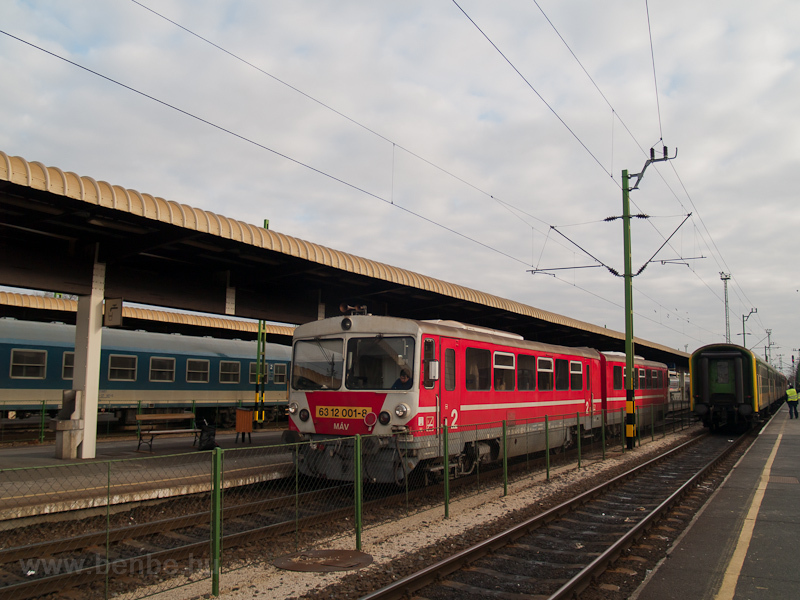 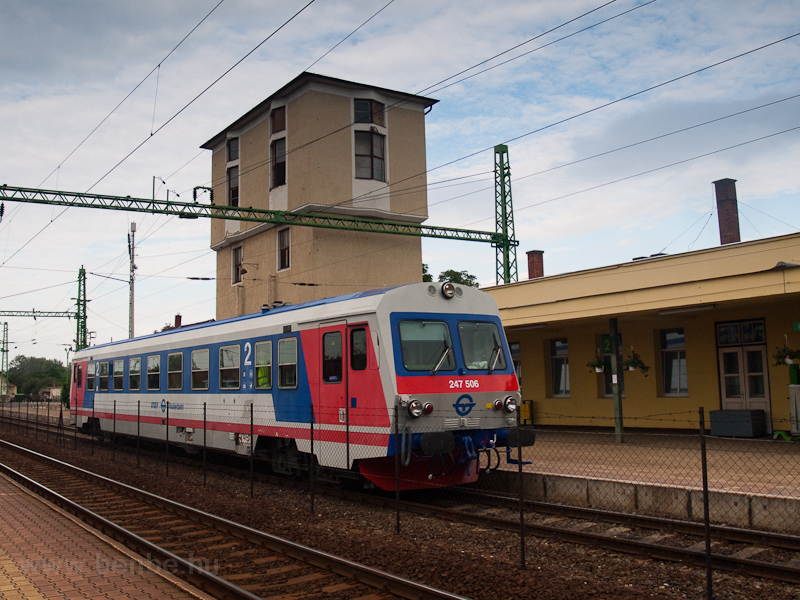 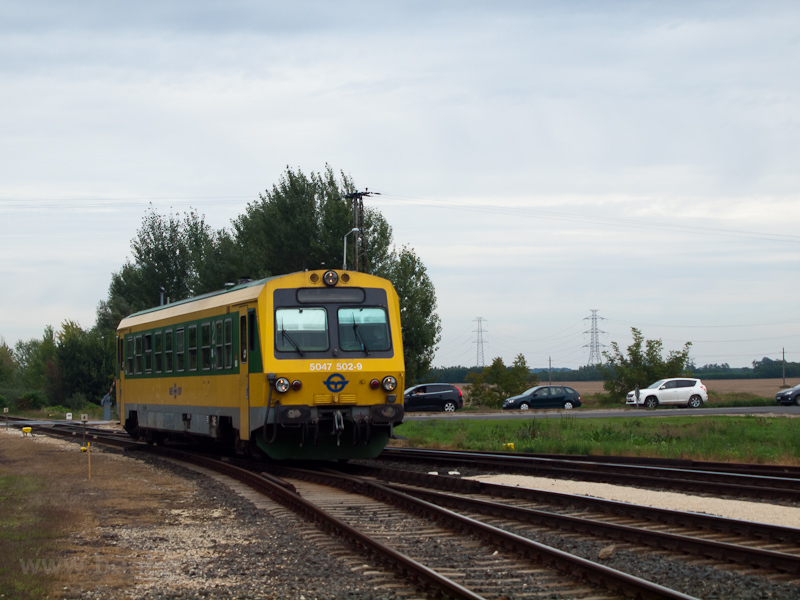 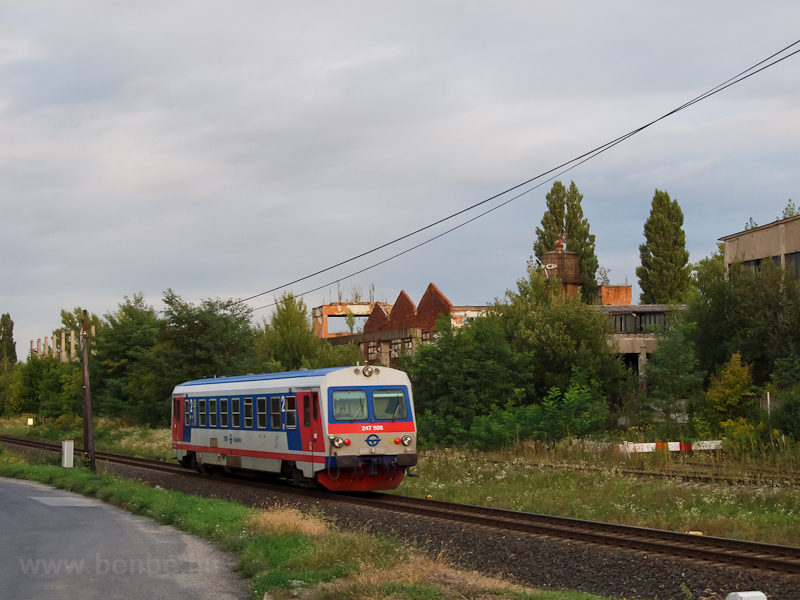 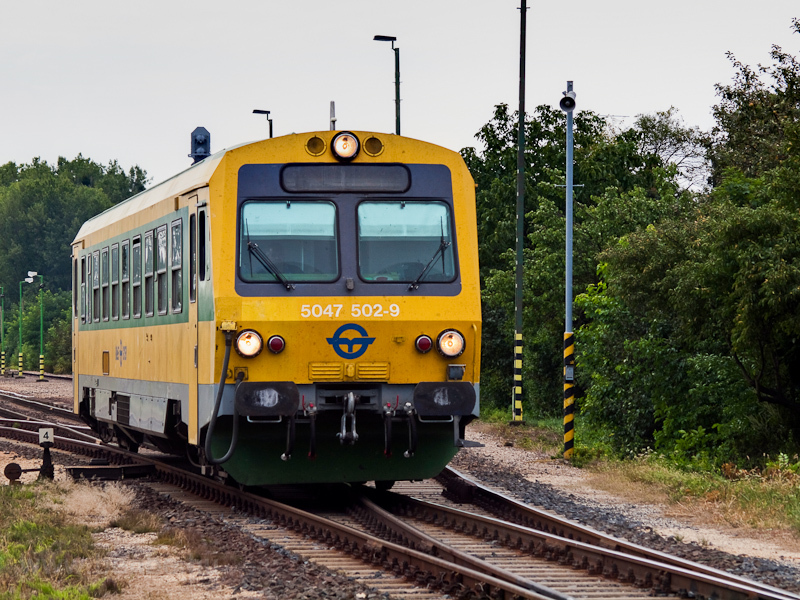 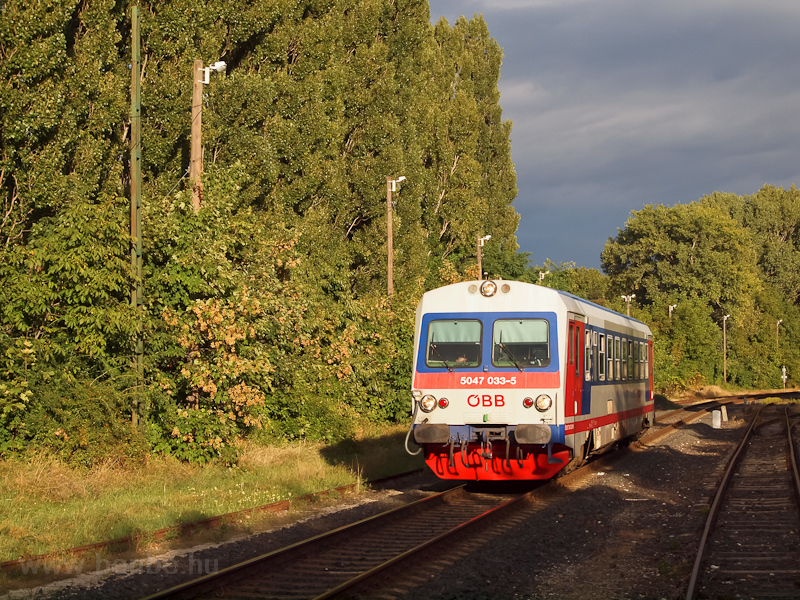 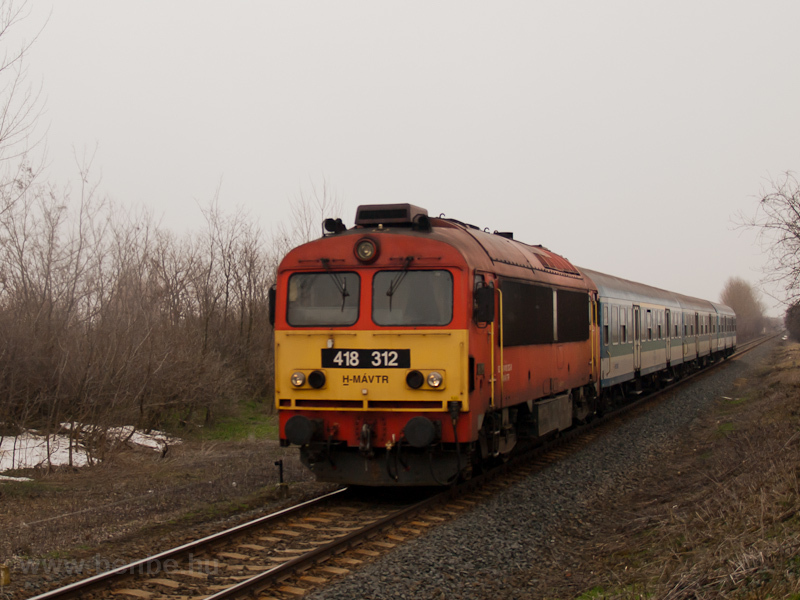 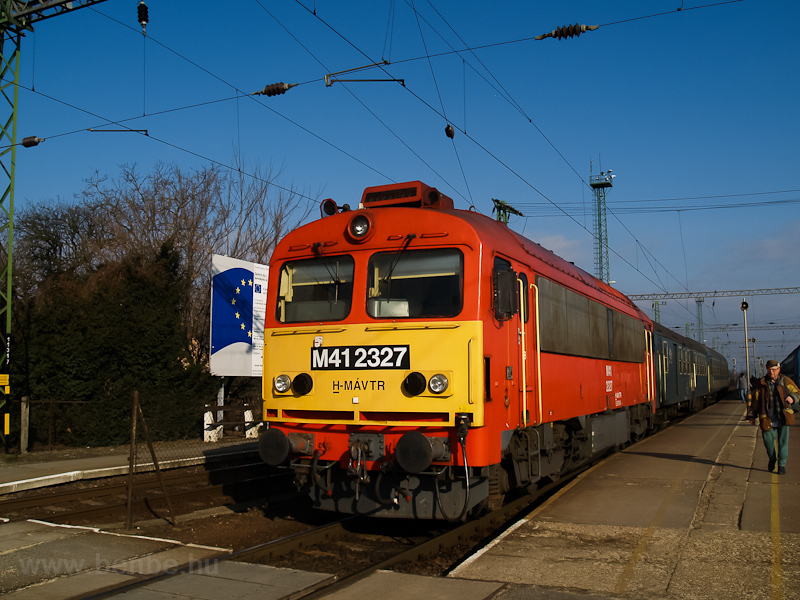 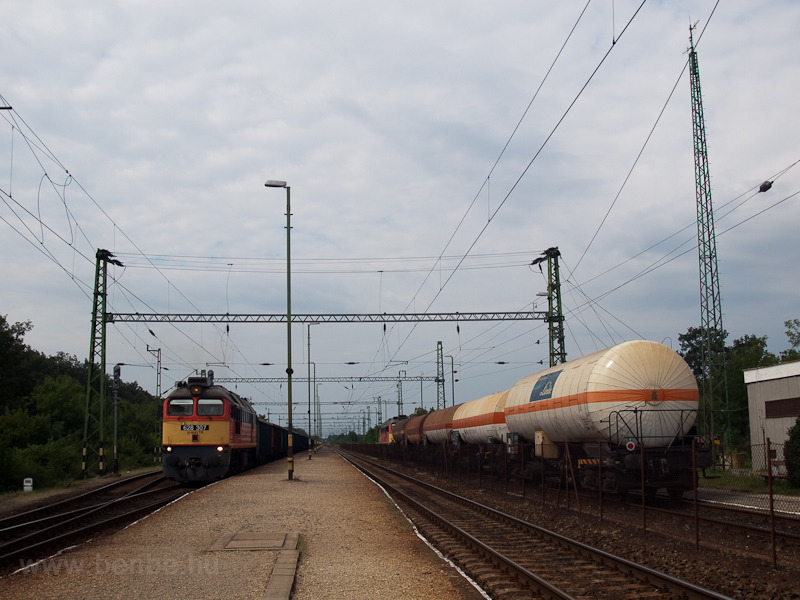 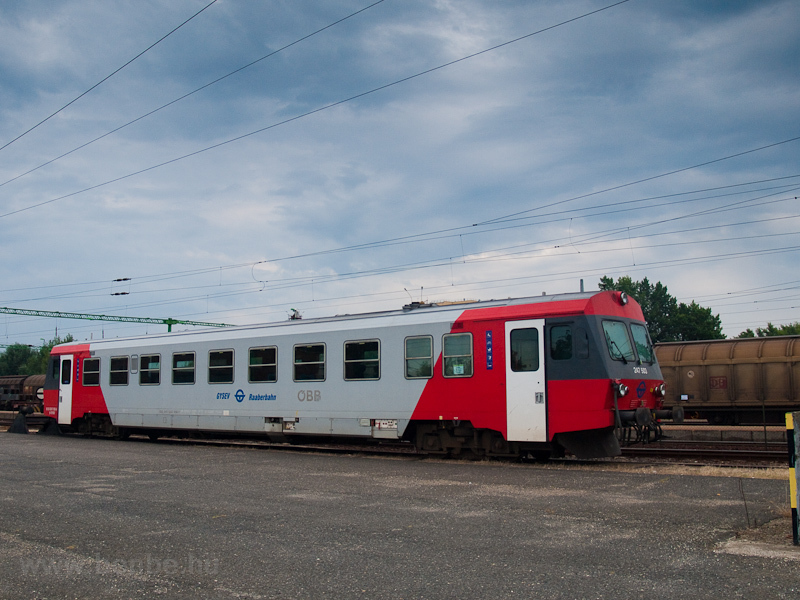 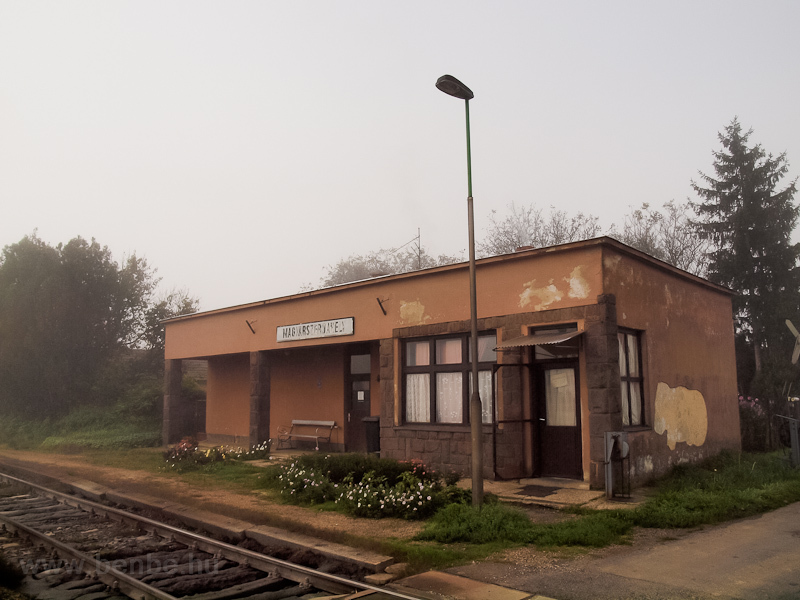 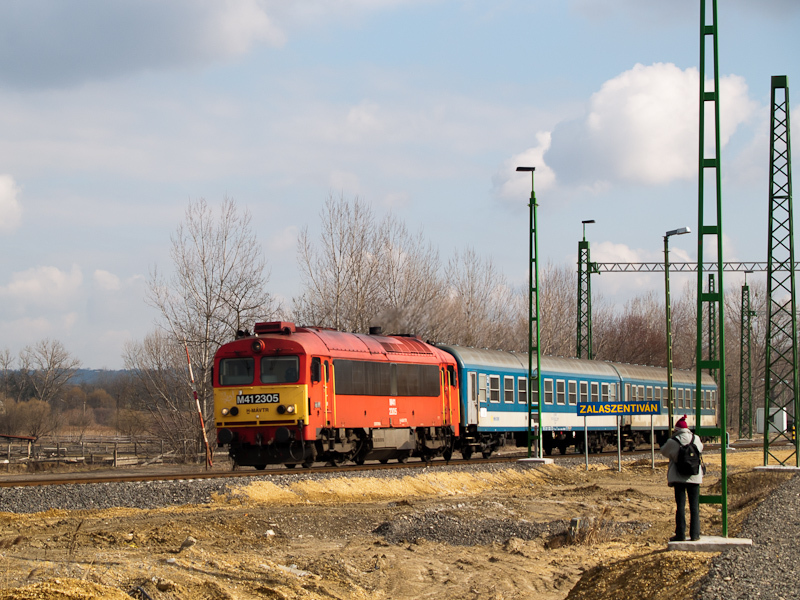 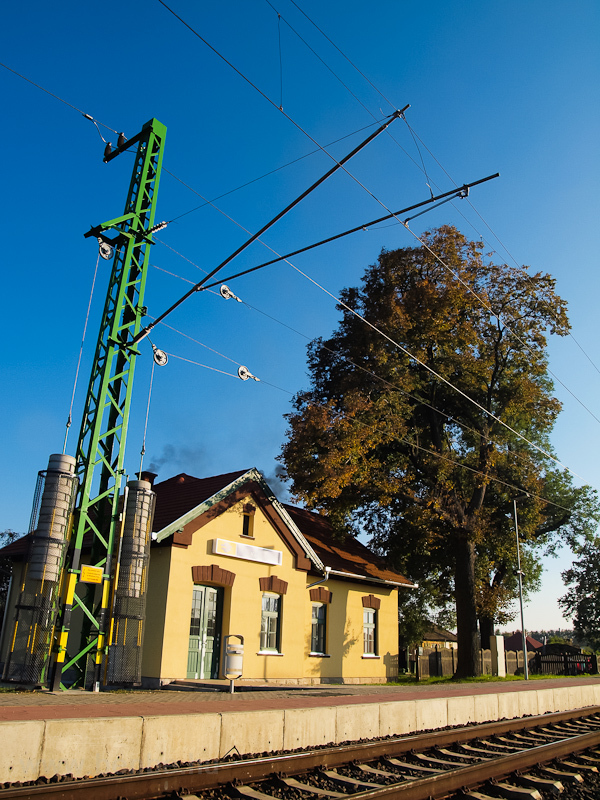 The famous Diesel Island, the Szombathely-Csorna-Győr-Pápa-Tapolca-Nagykanizsa-Zalaegerszeg-Szentgotthárd area which mostly had only not electrified railways is now split in half by the electrified corridor railway from Budapest to Koper over Őrihodos and Zalaegerszeg. 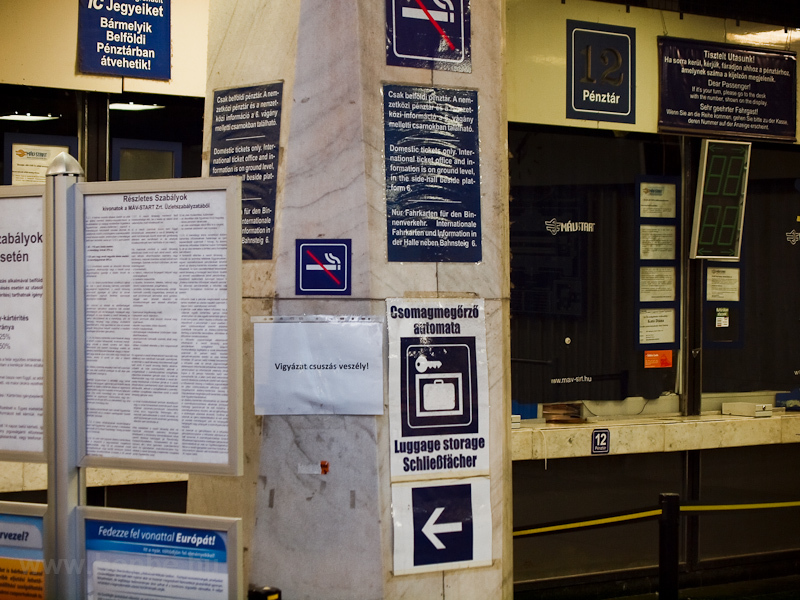 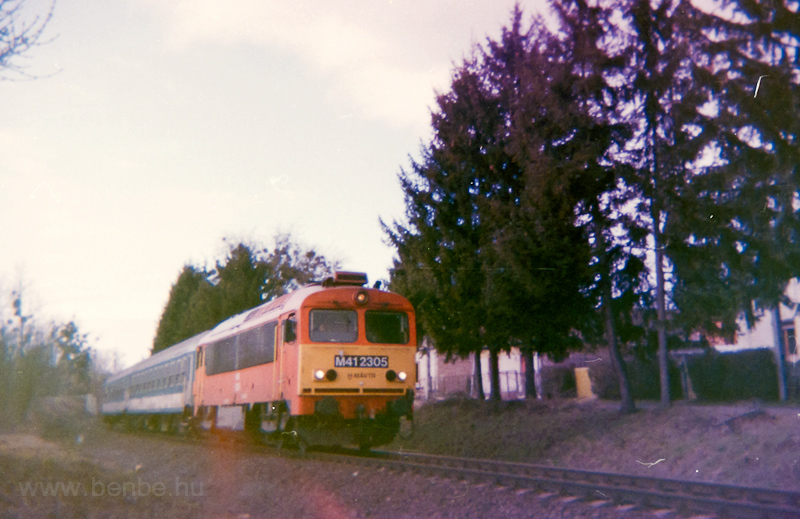 In this album I have a few memories collected from the days when there was a bigger traffic as well as some photos of the current, more green and yellow than blue situation. 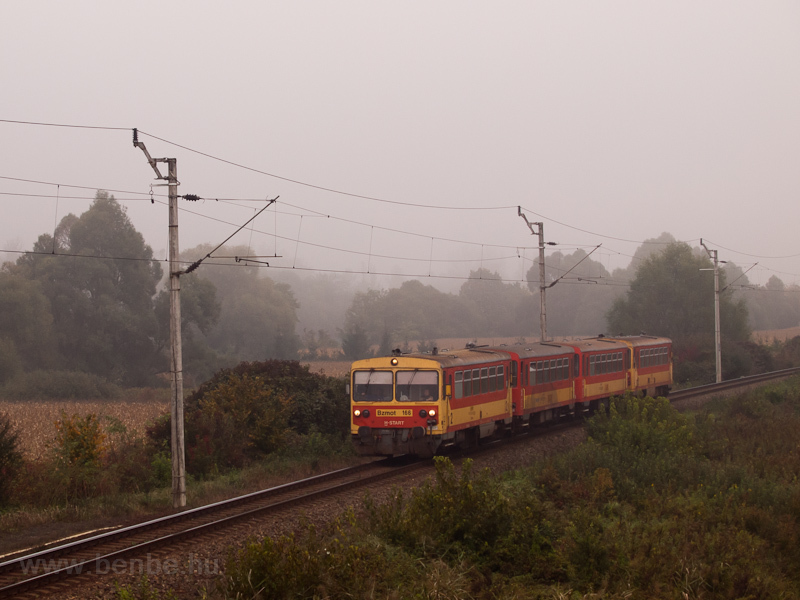 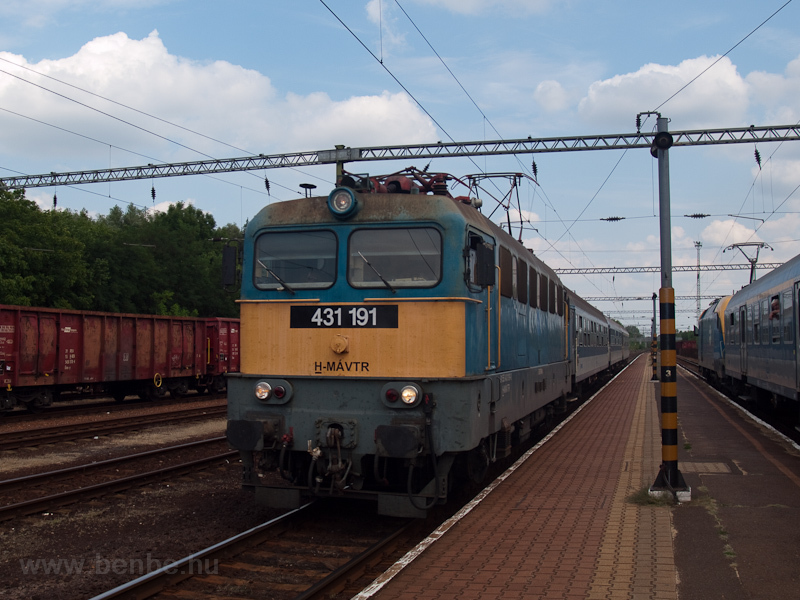 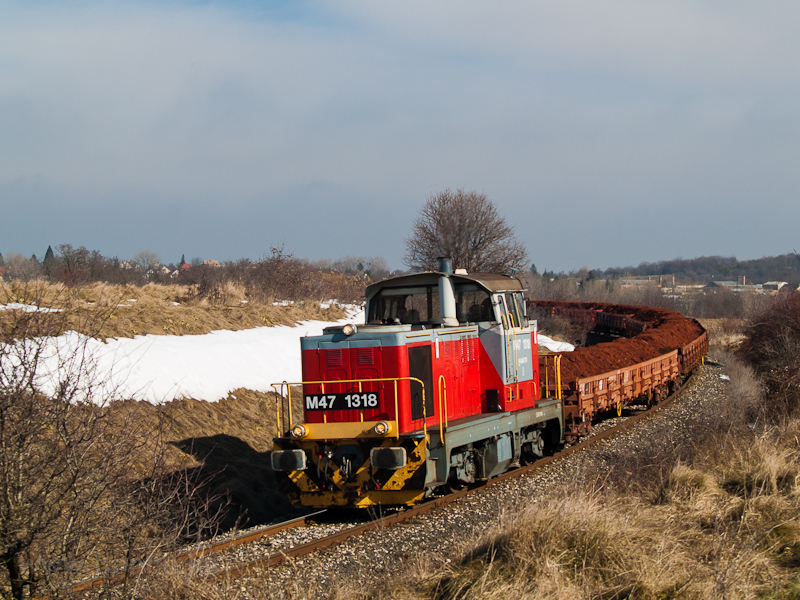 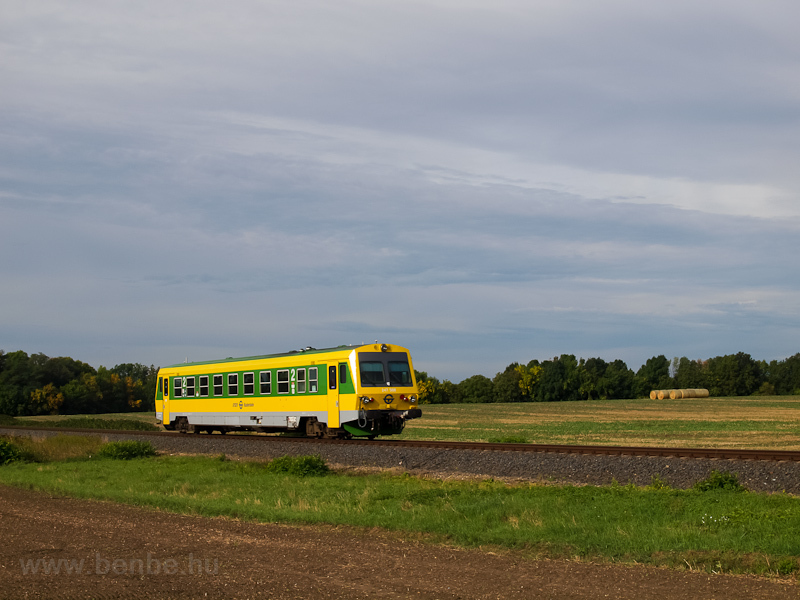 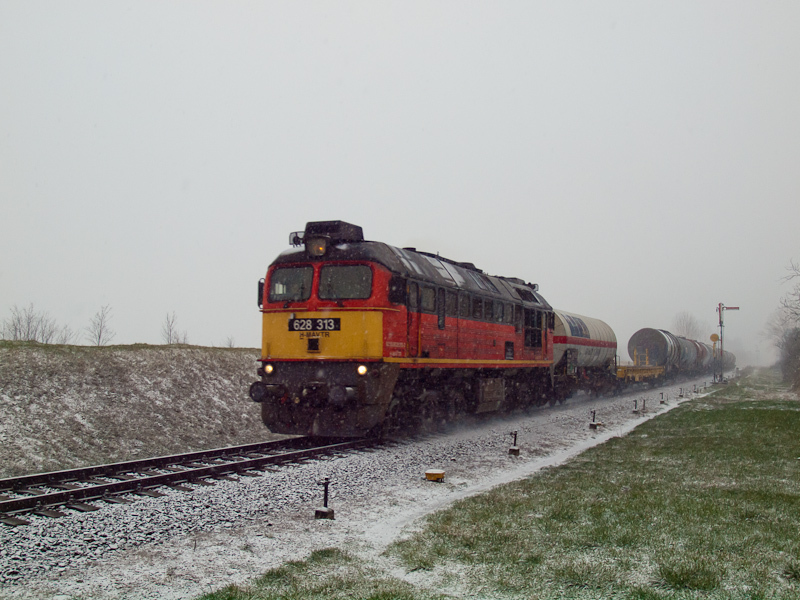 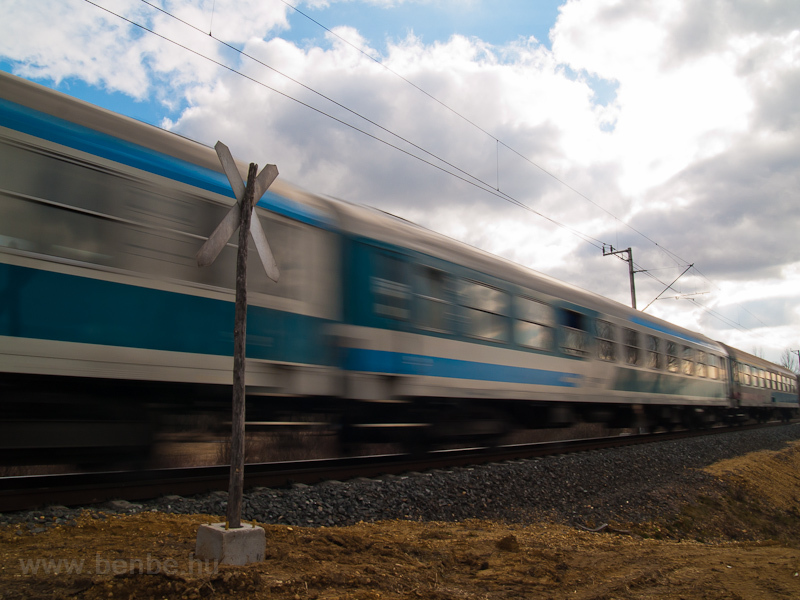 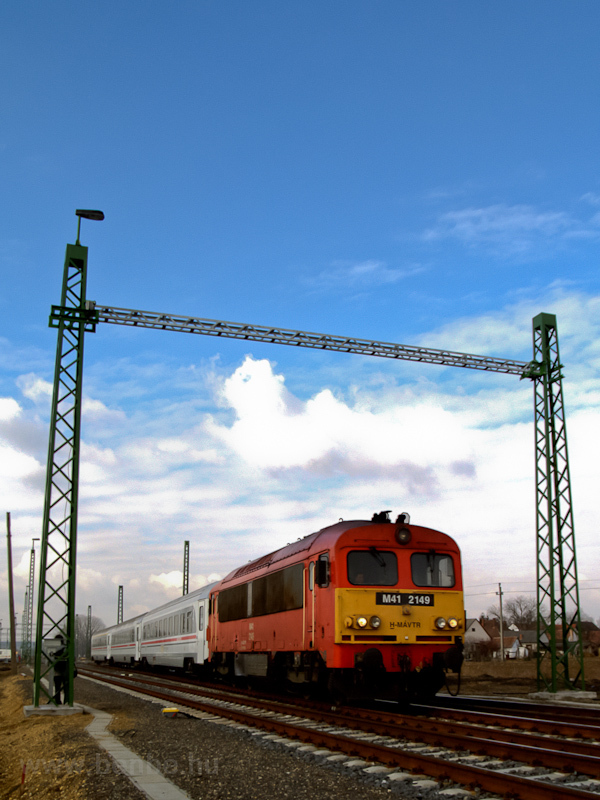 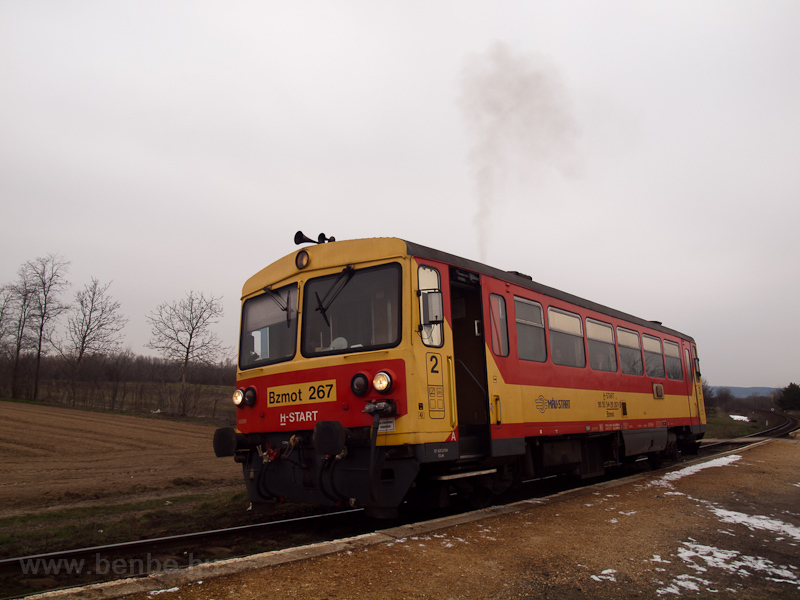 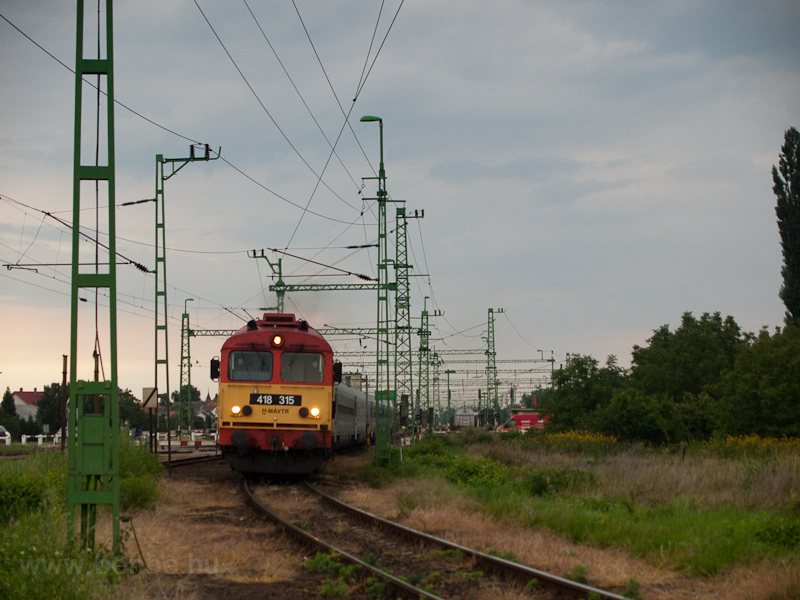 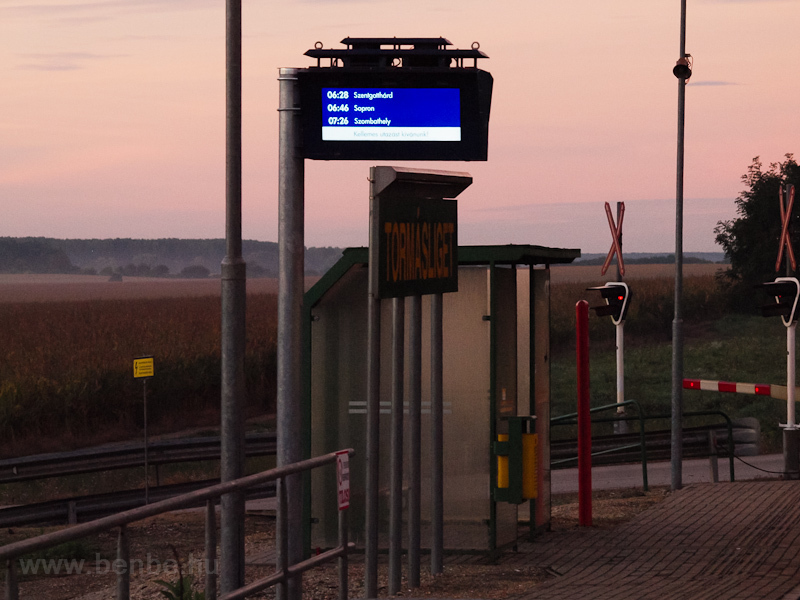 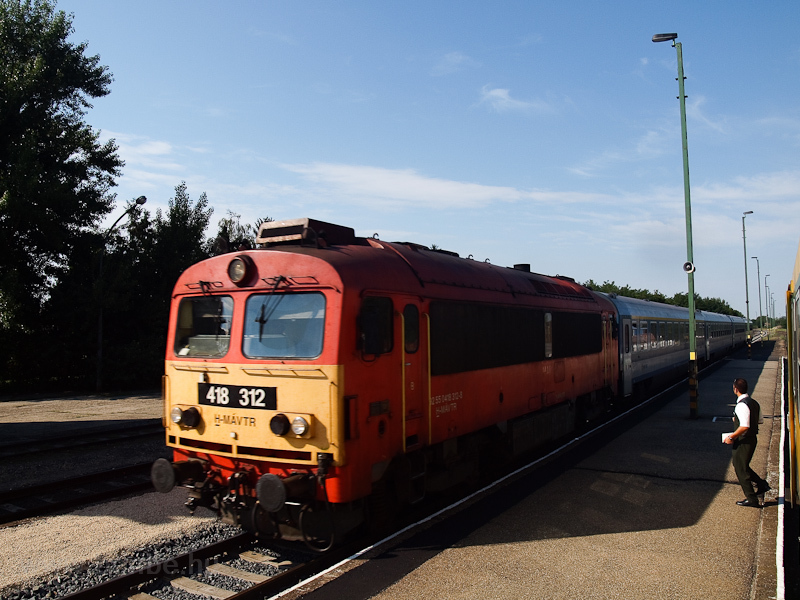 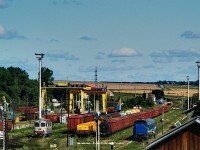 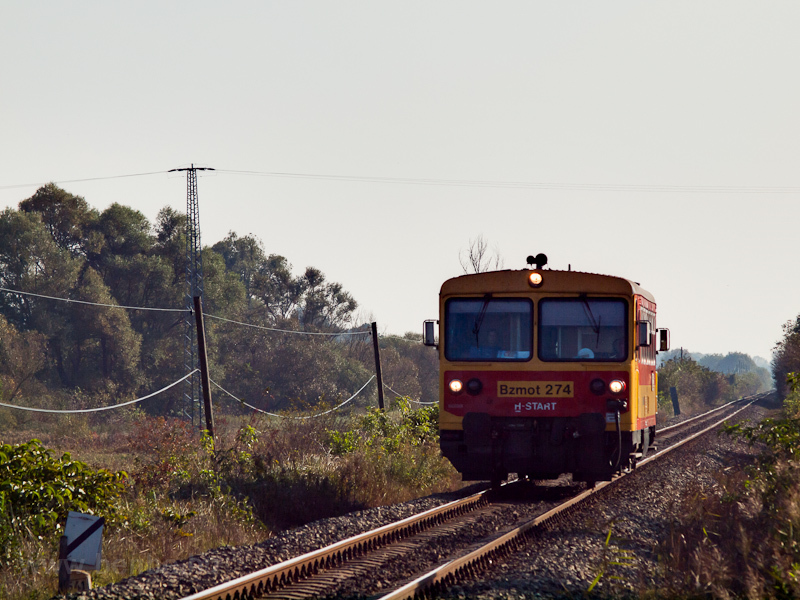 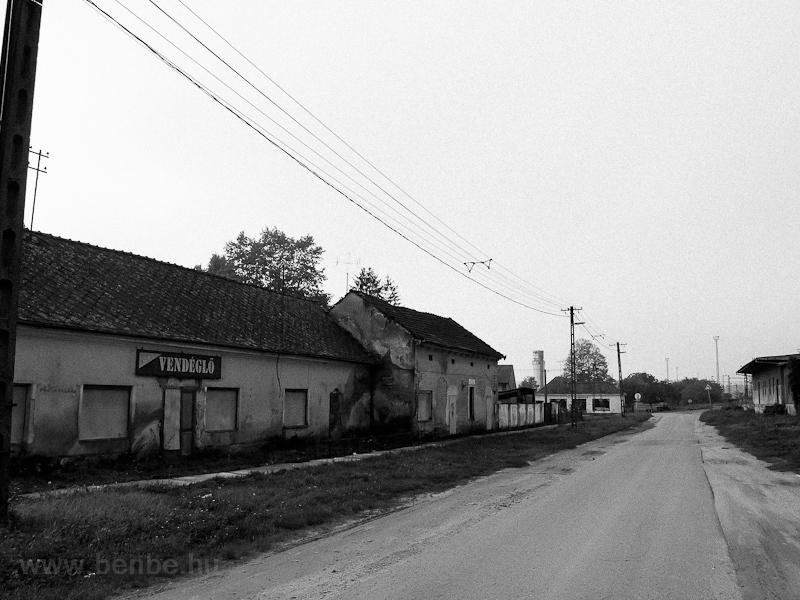 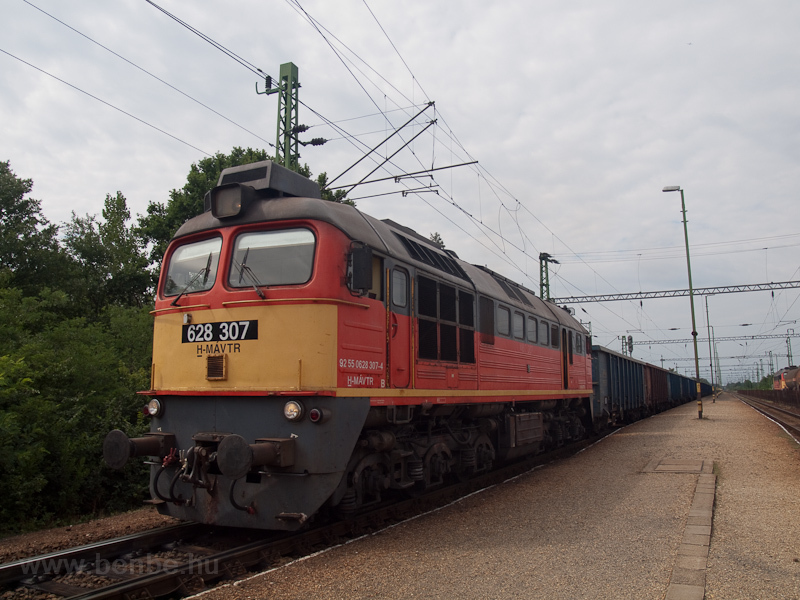 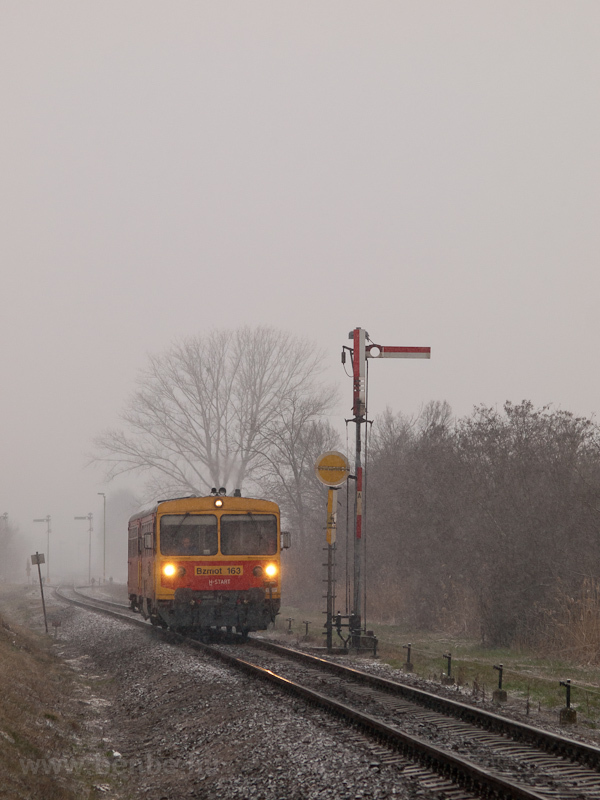 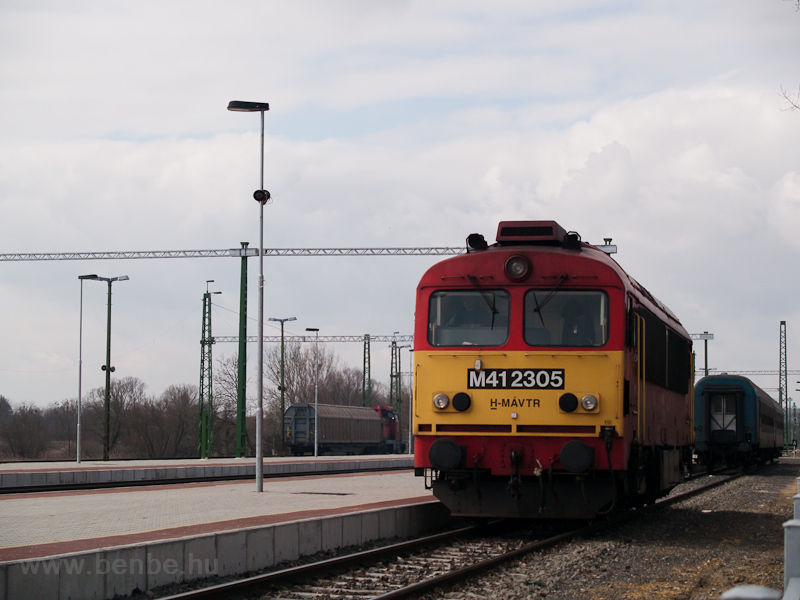 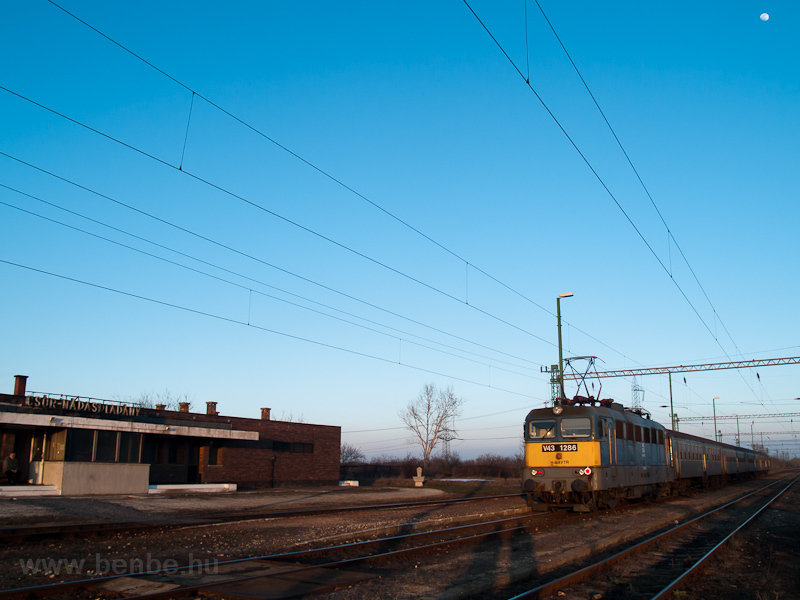 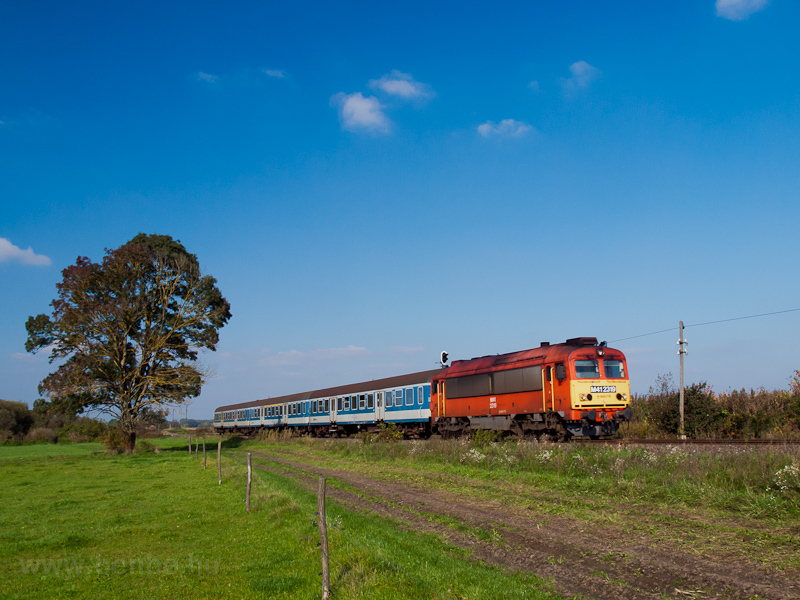 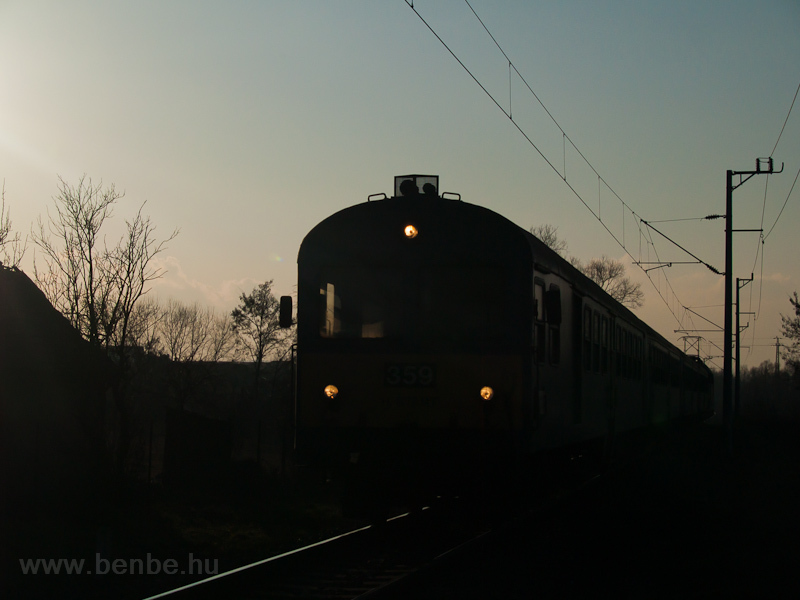 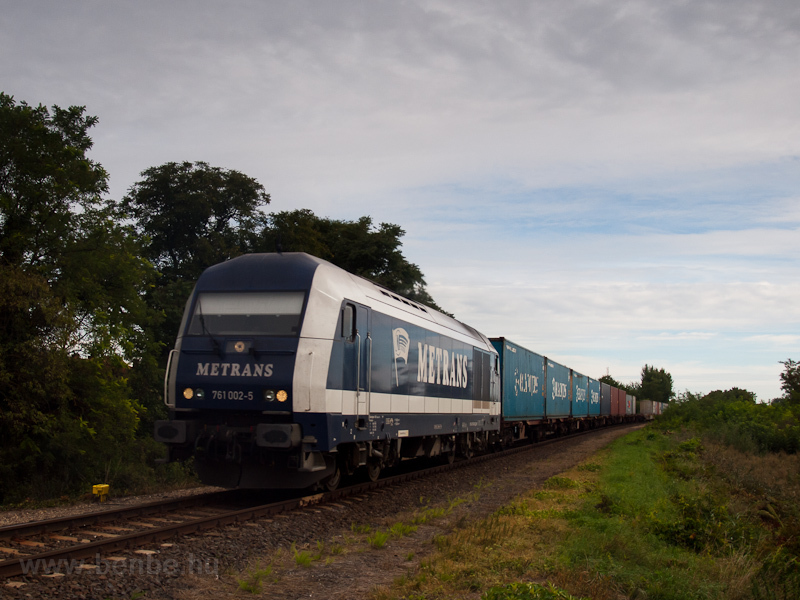 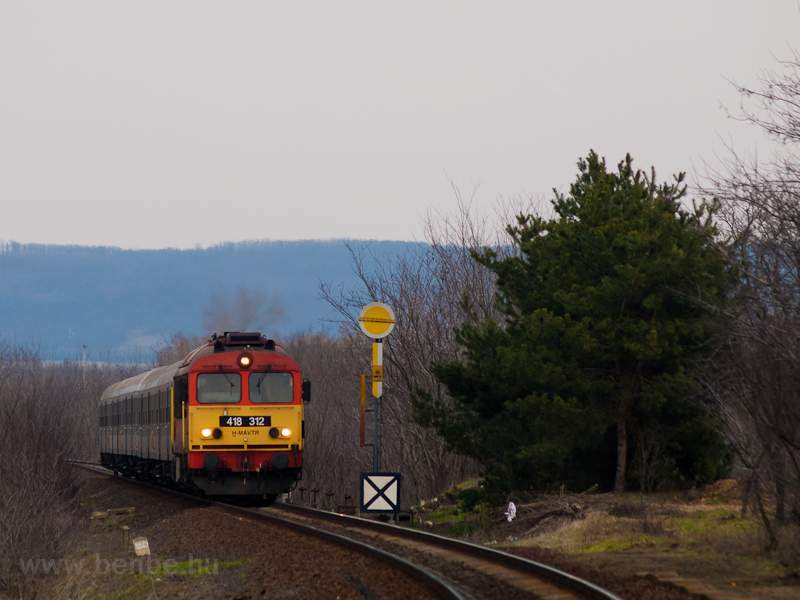 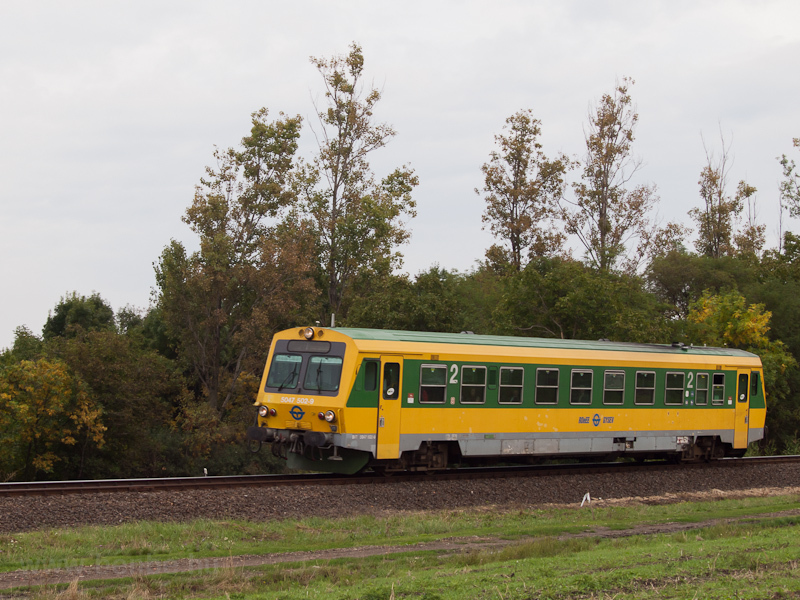 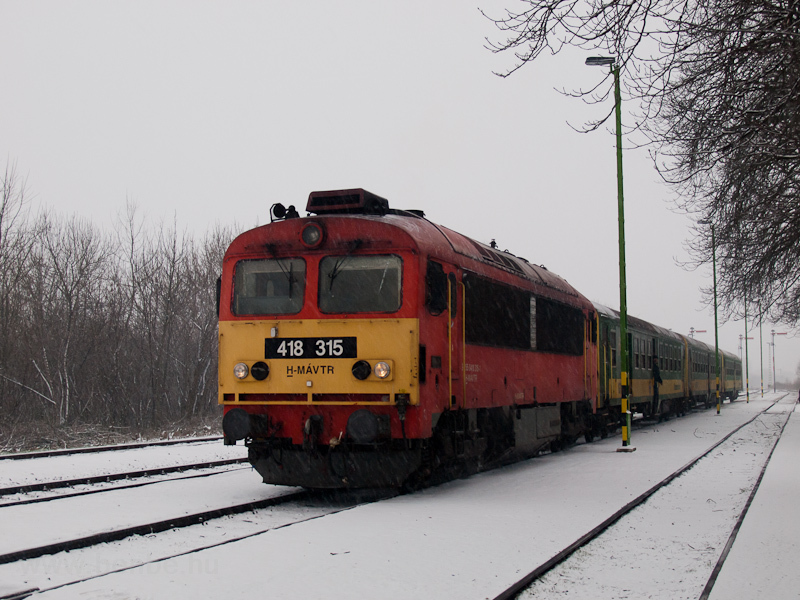 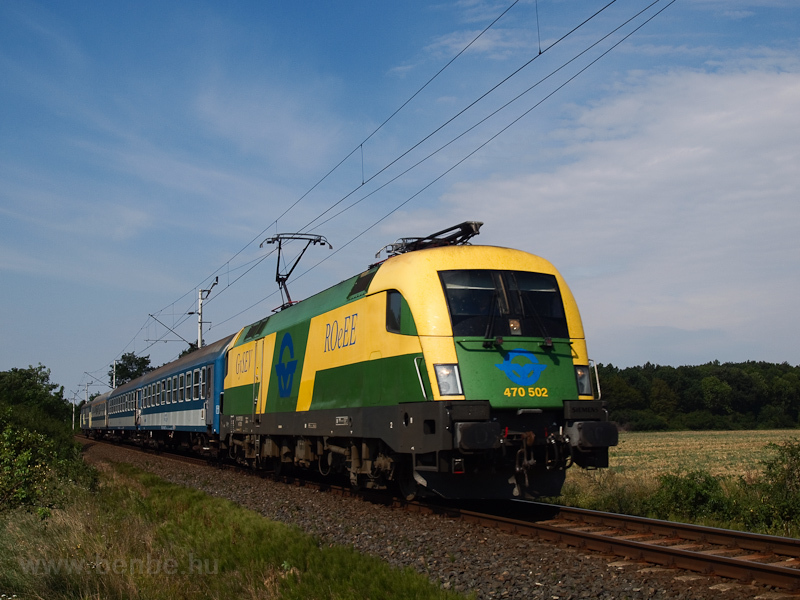 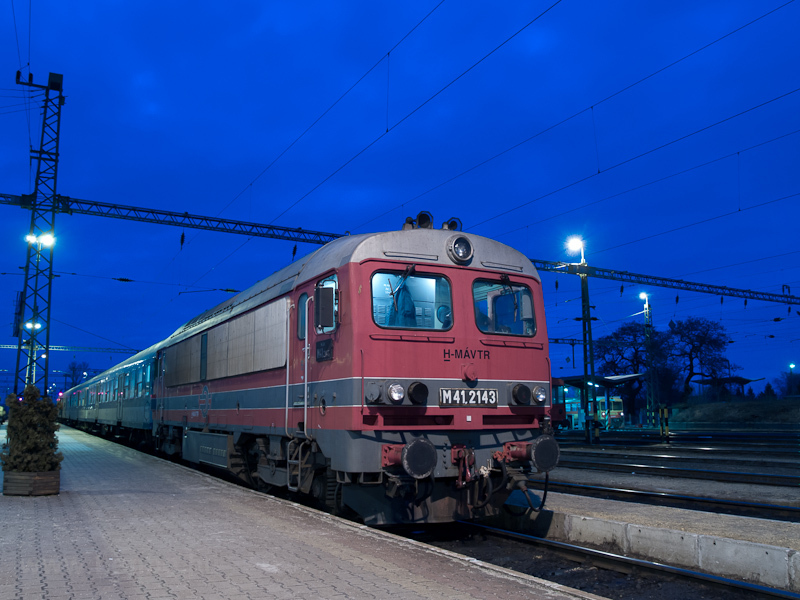 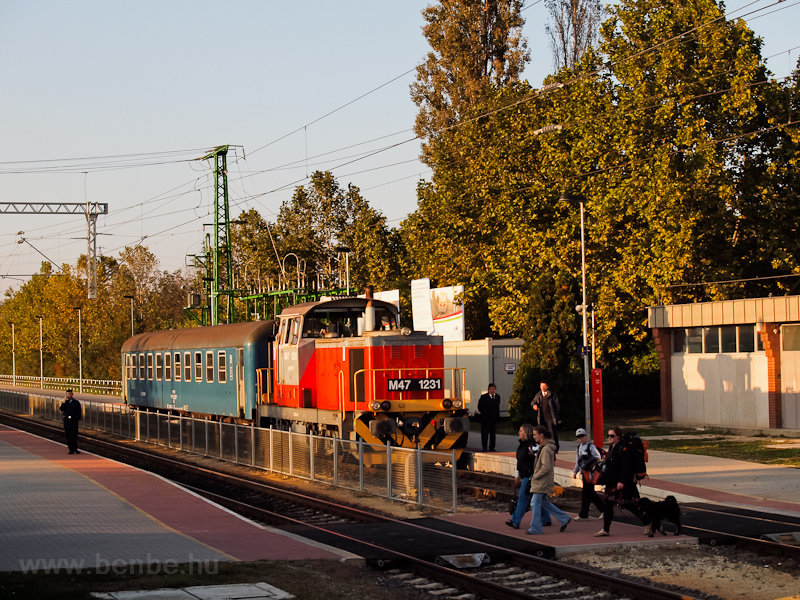 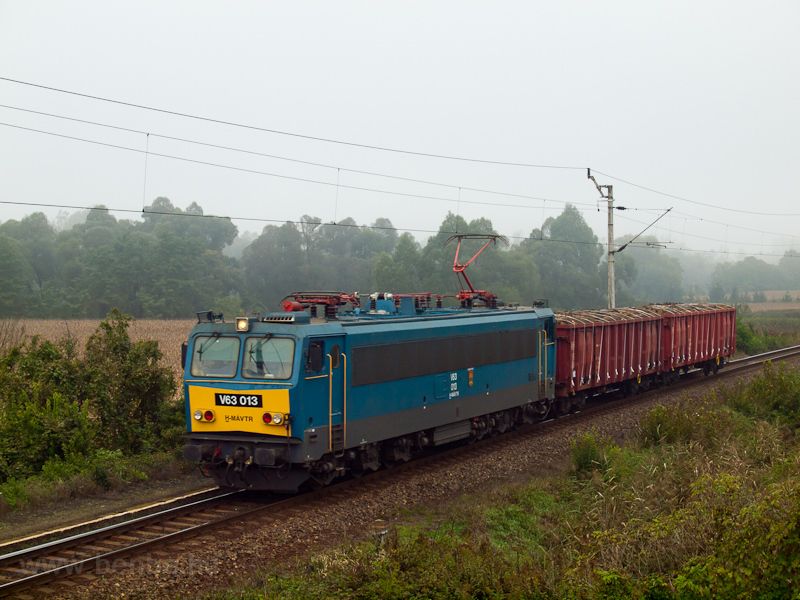 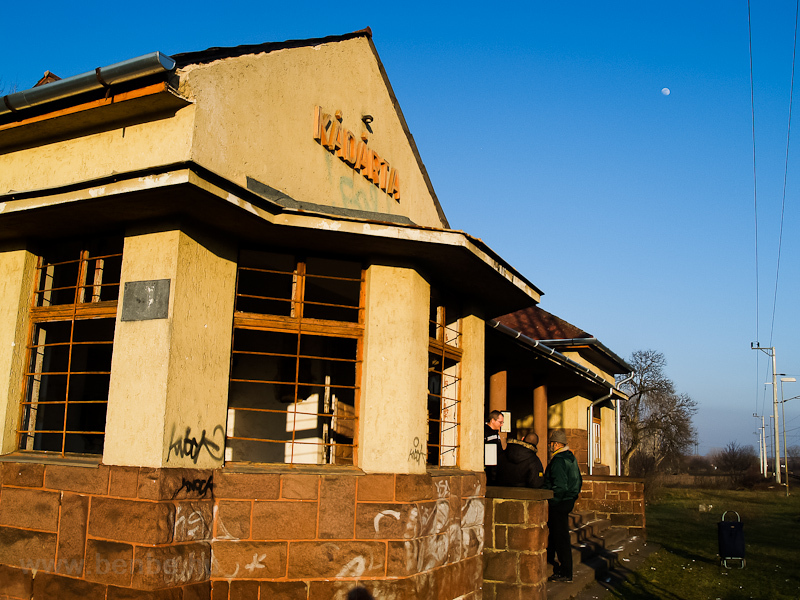 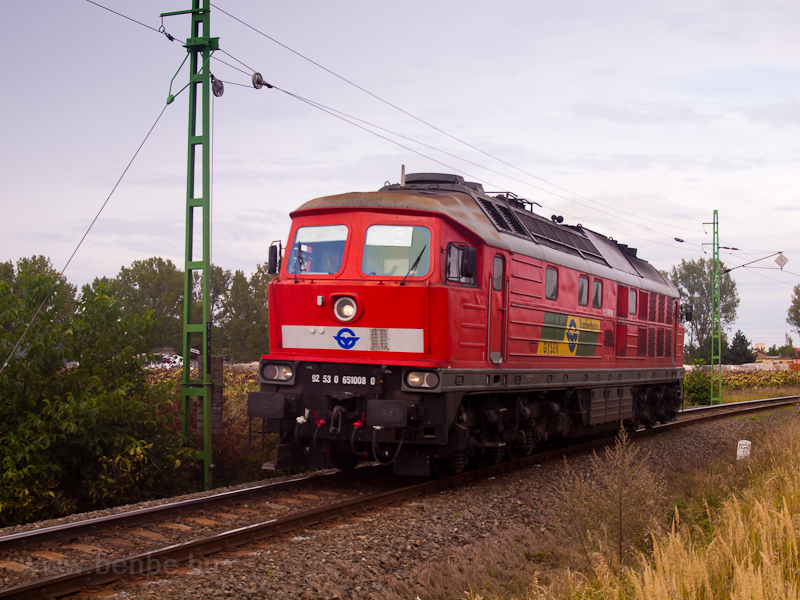 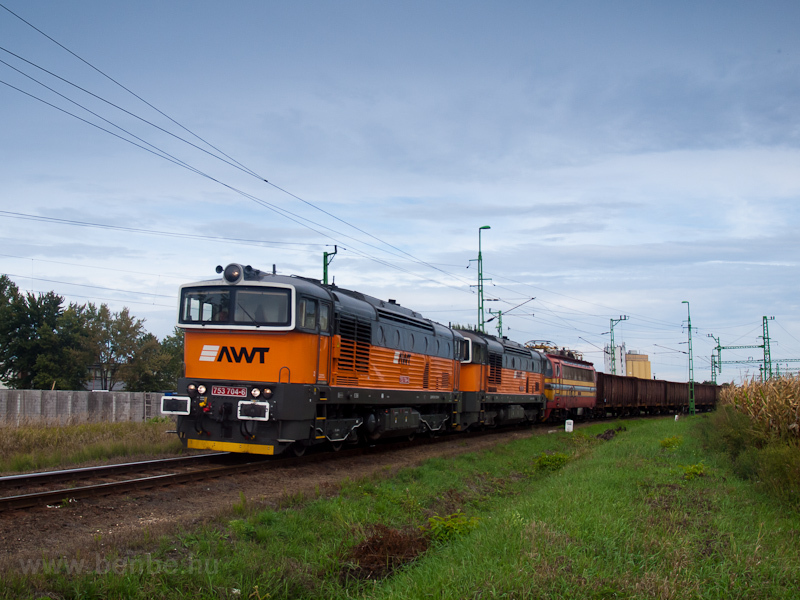 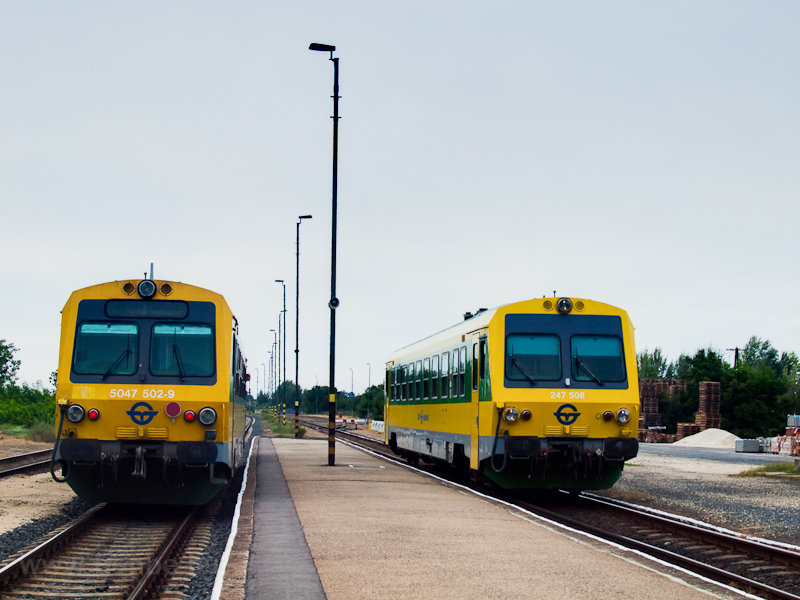 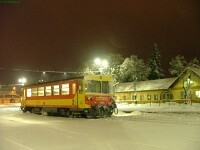 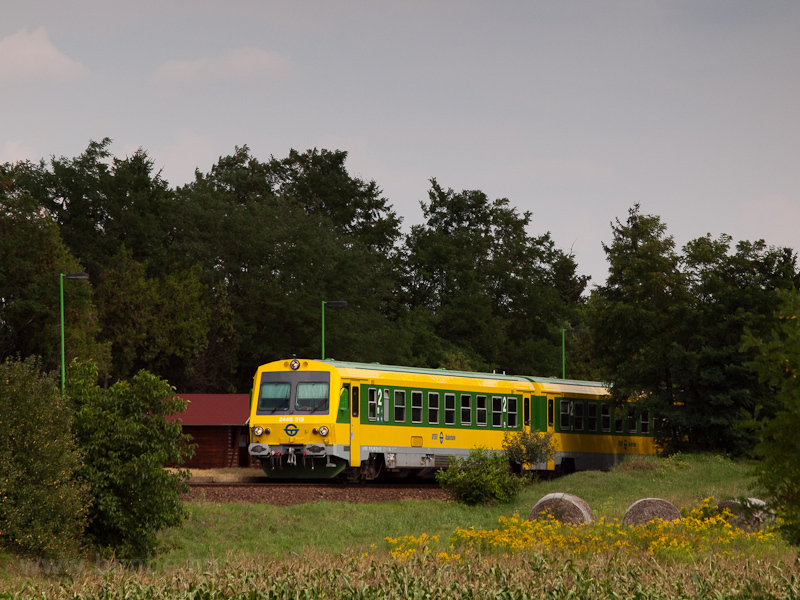 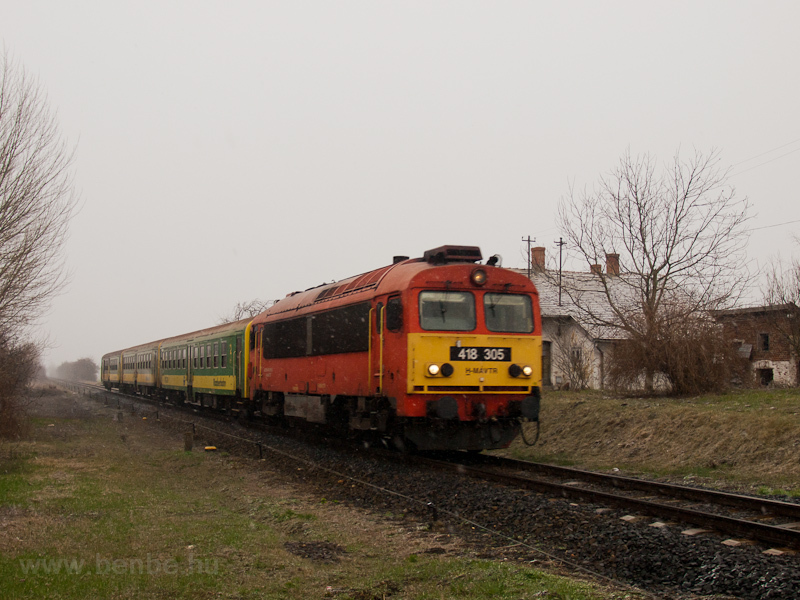 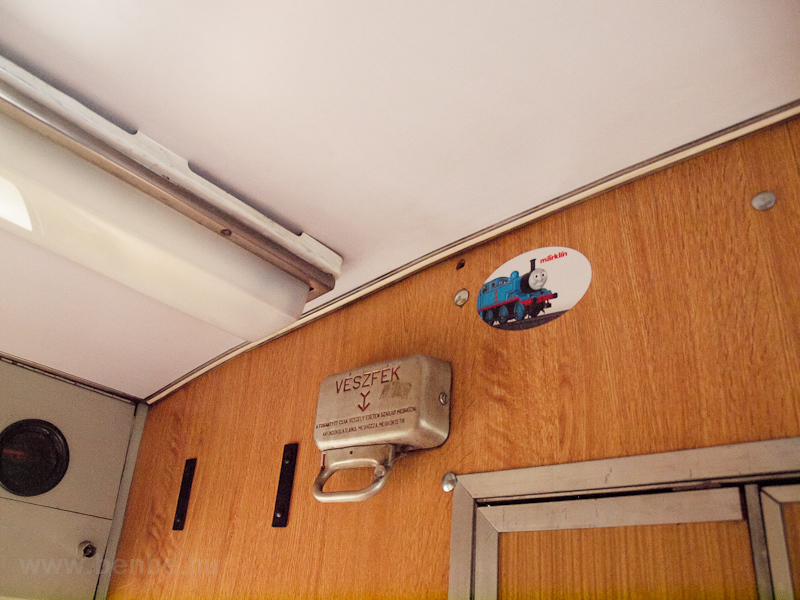 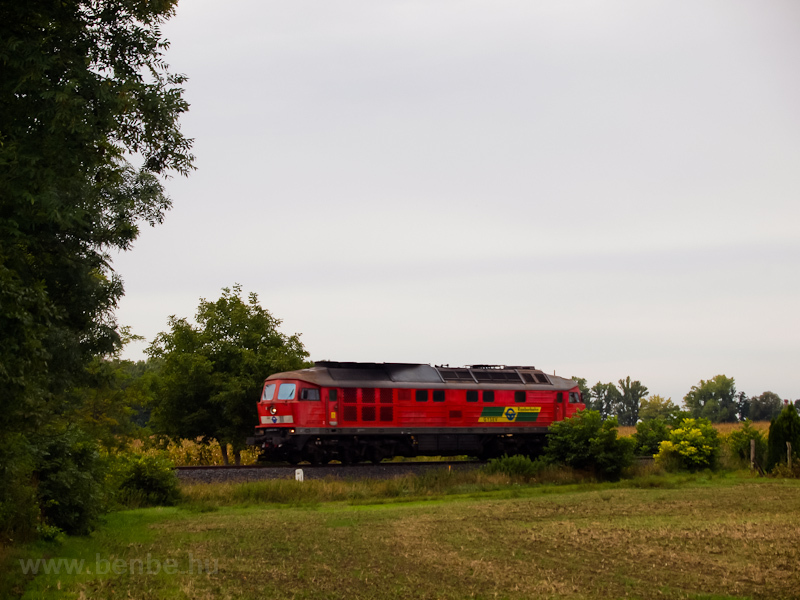 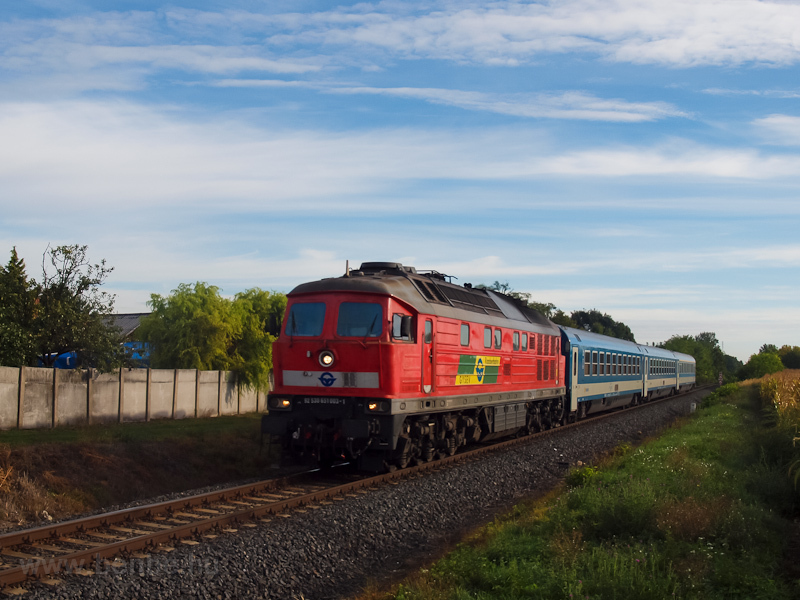 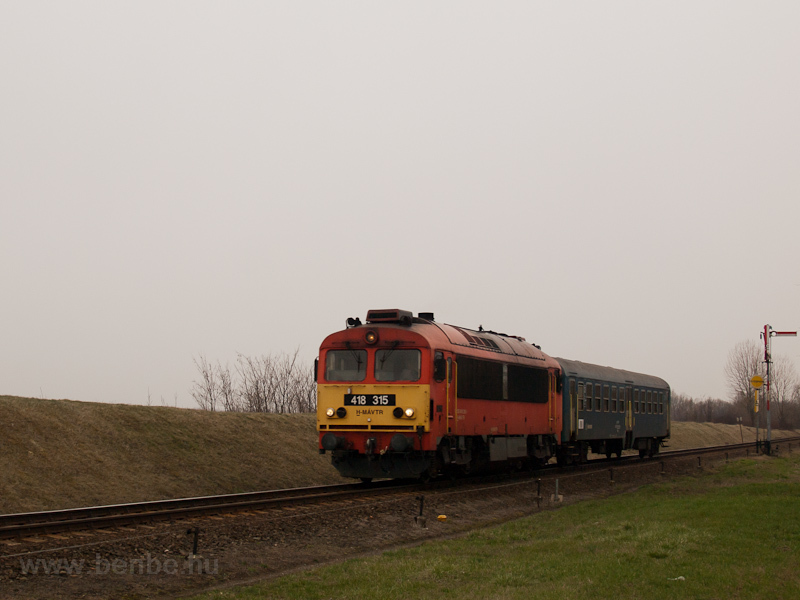 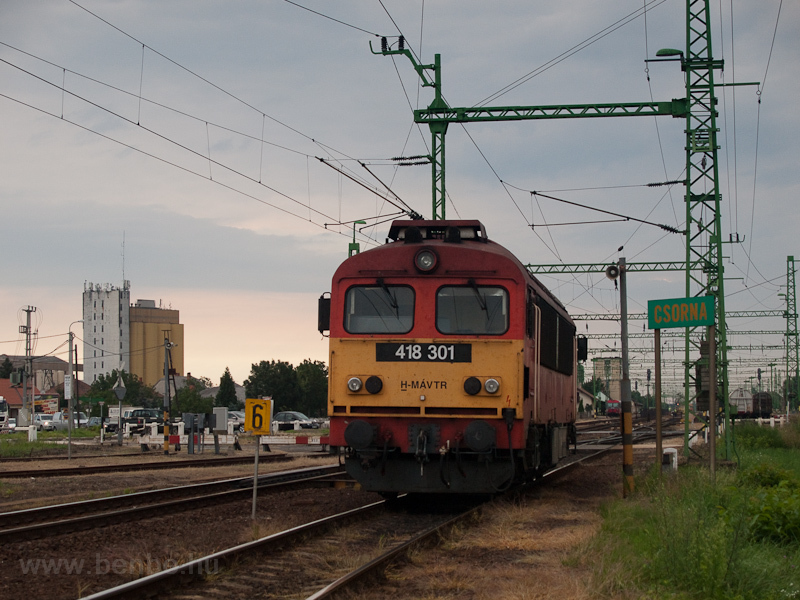 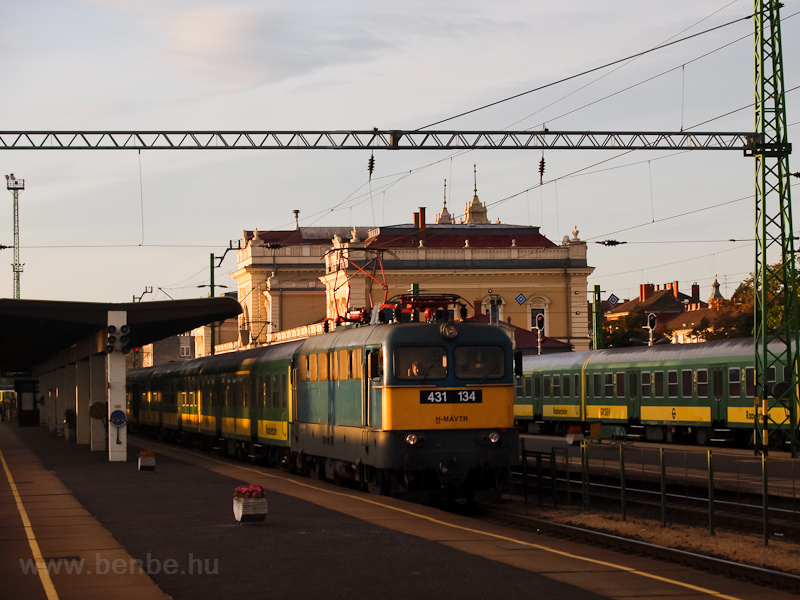 Nowadays it appears on the Debrecen-Nagykereki railway. 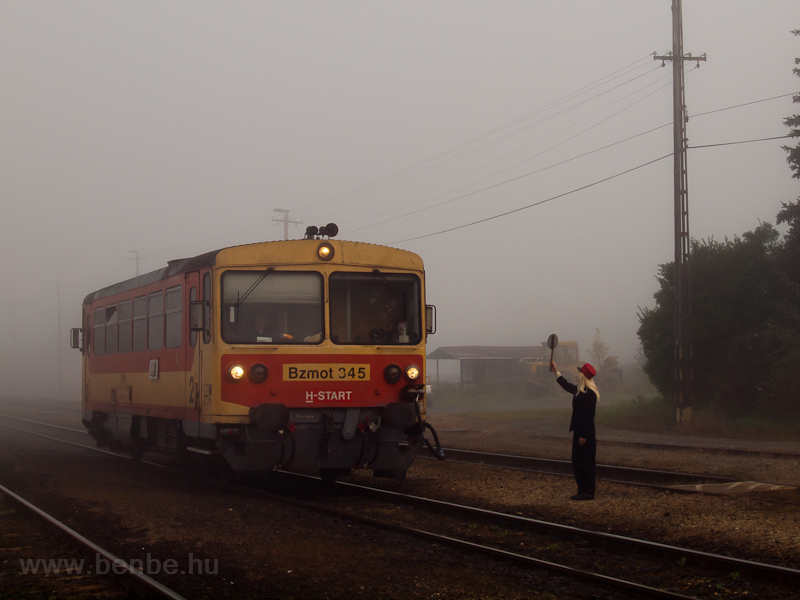 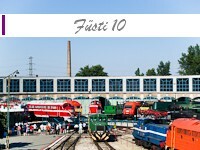 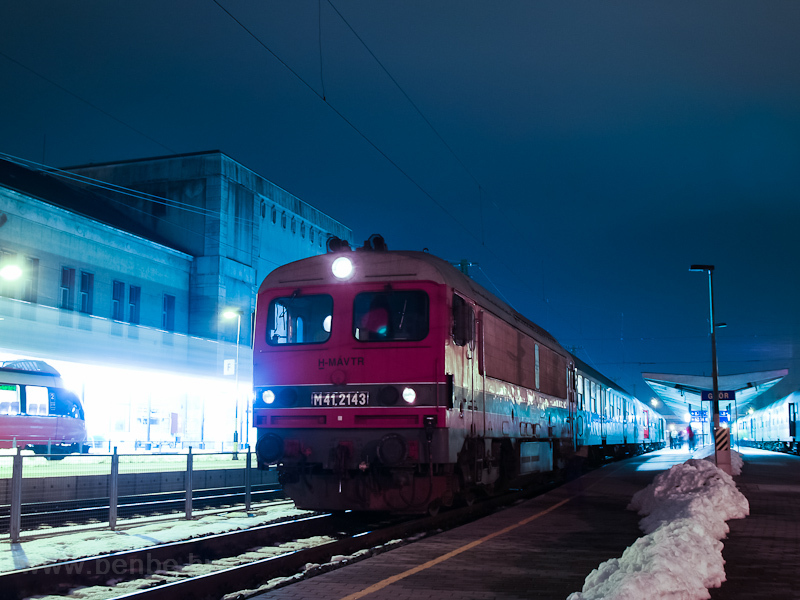 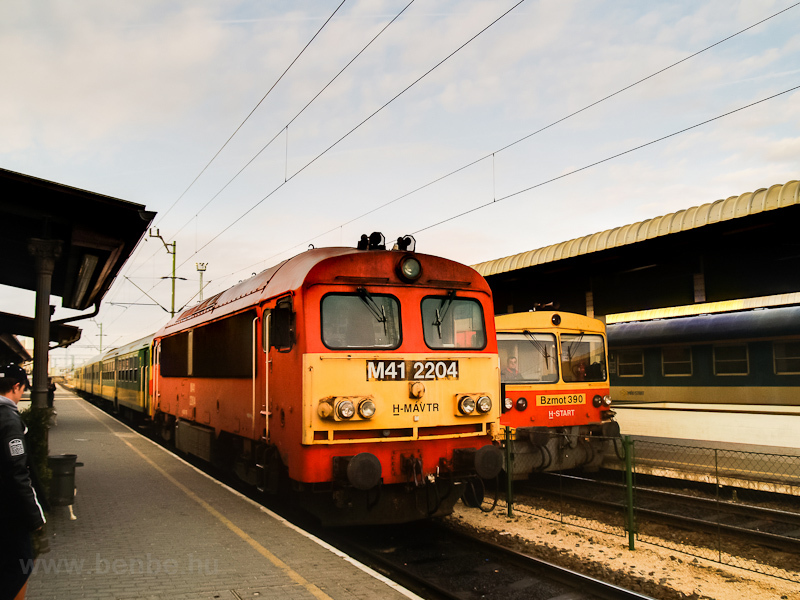 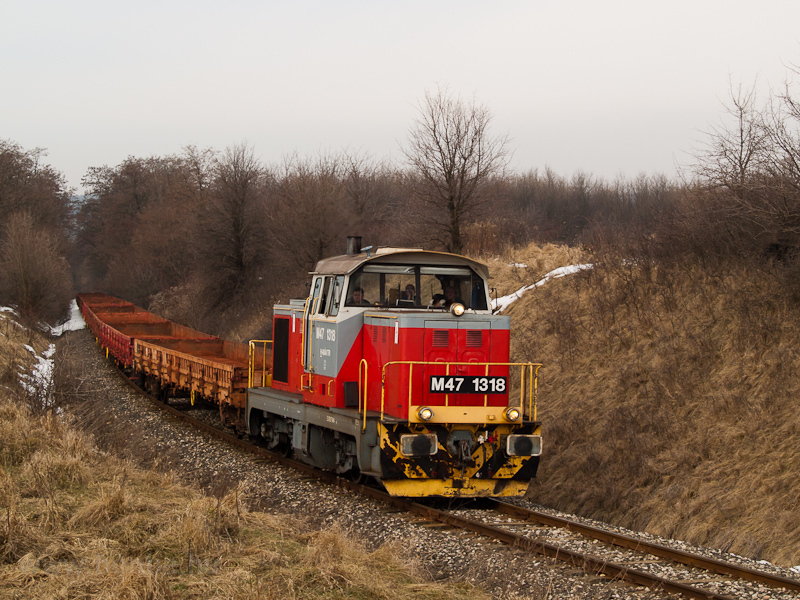 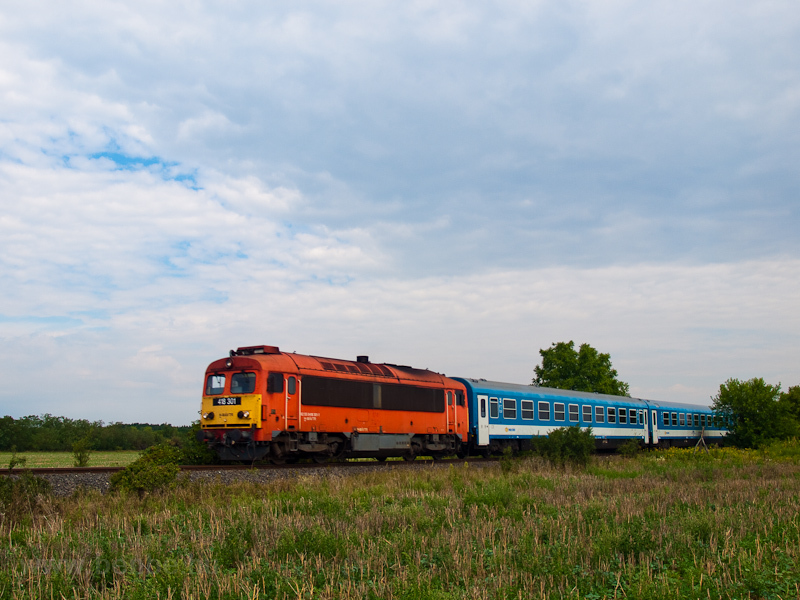 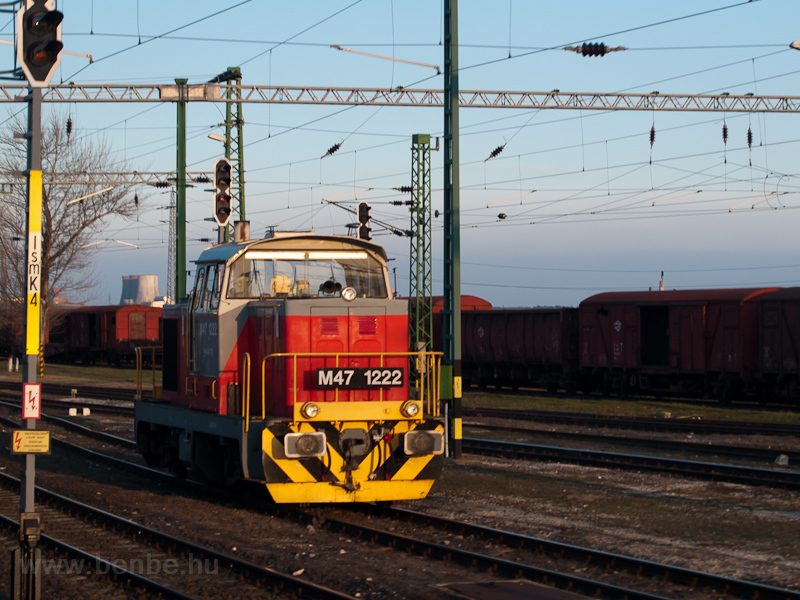 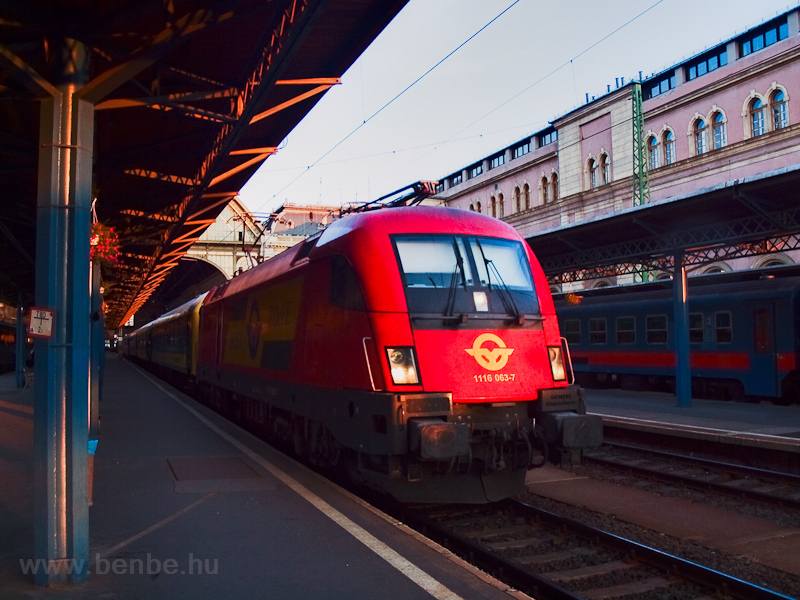 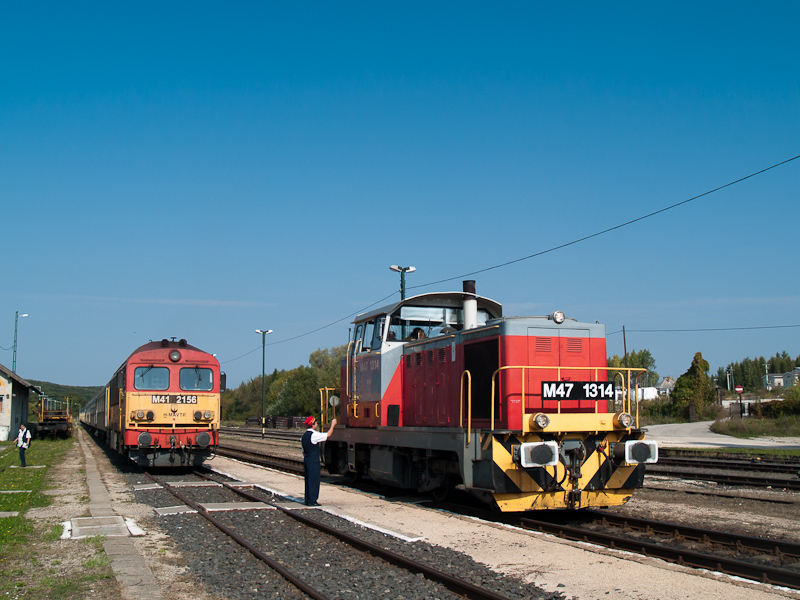 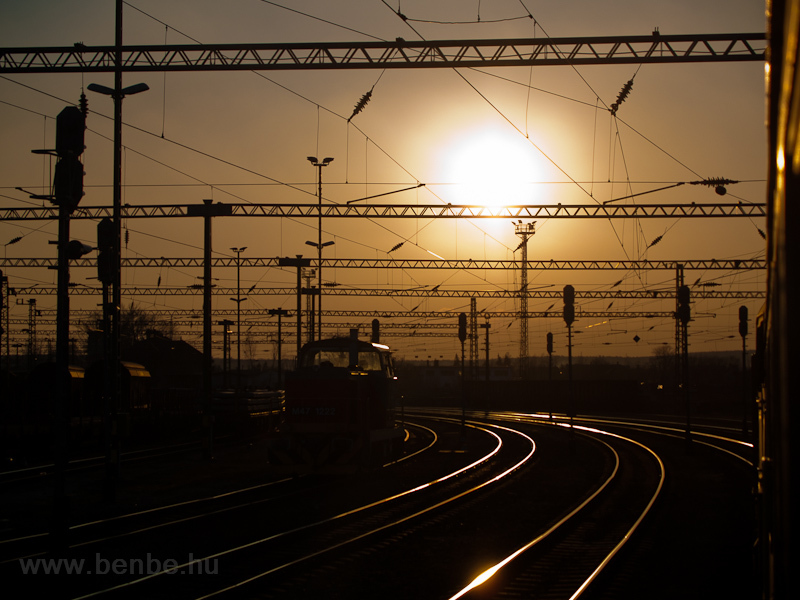 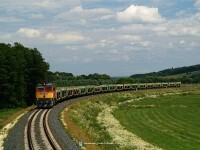 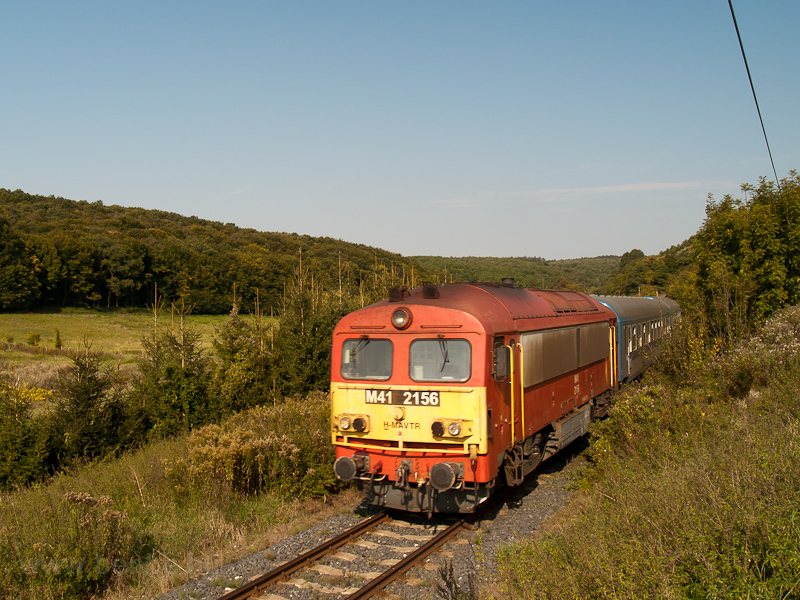 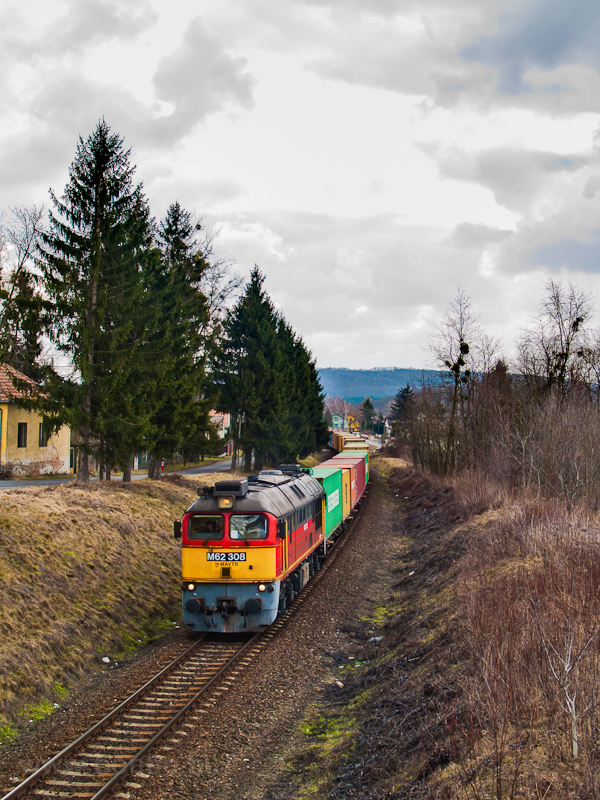 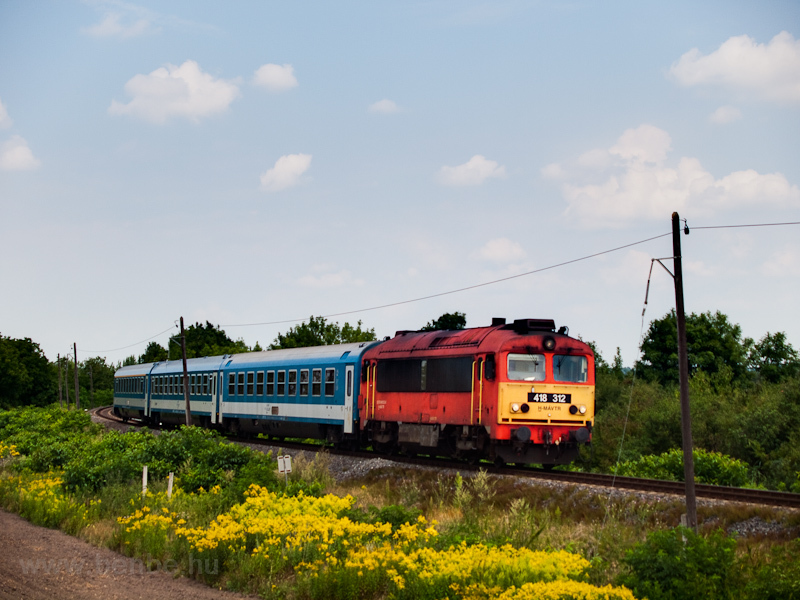 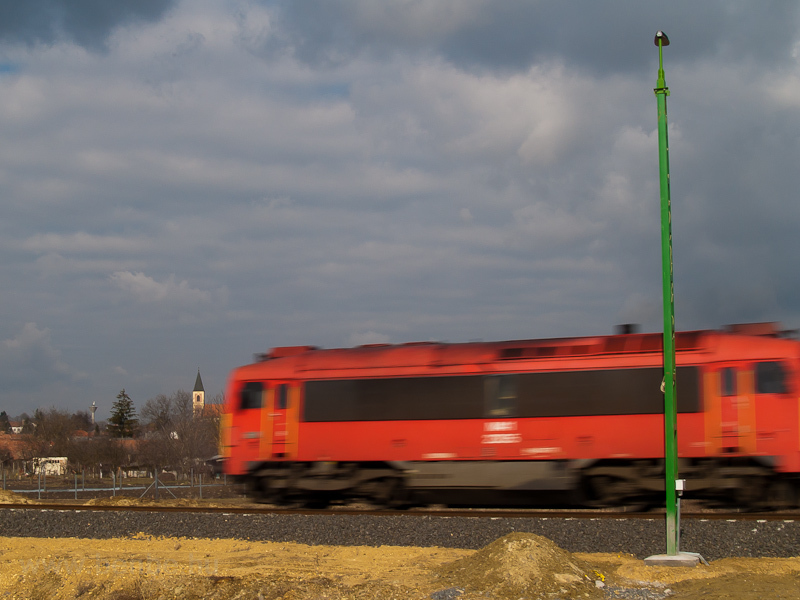 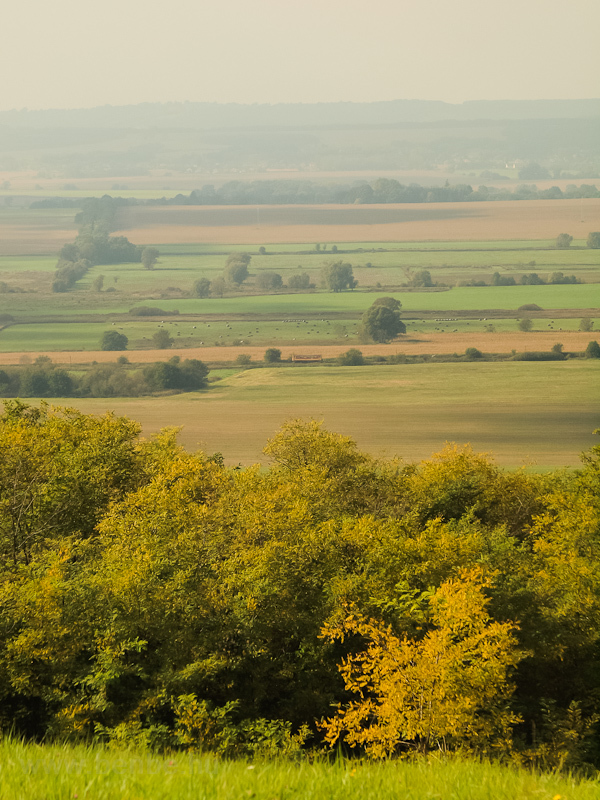 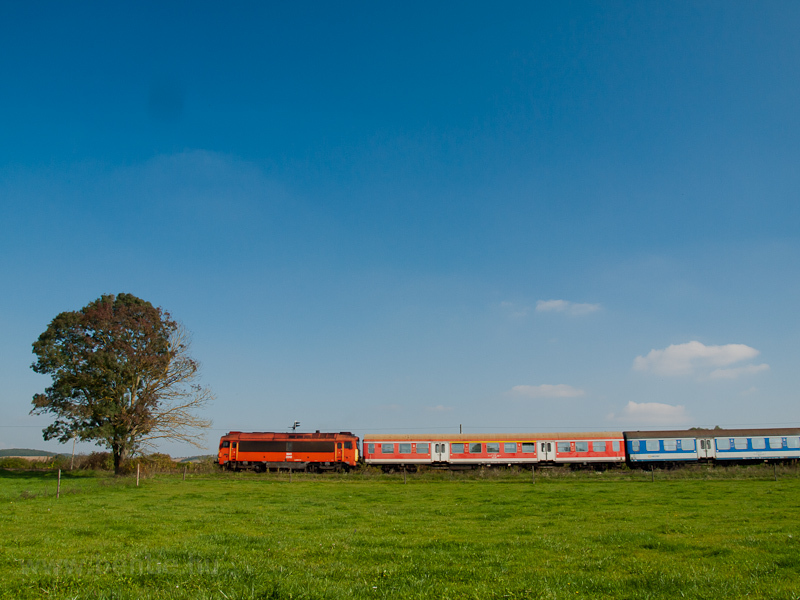 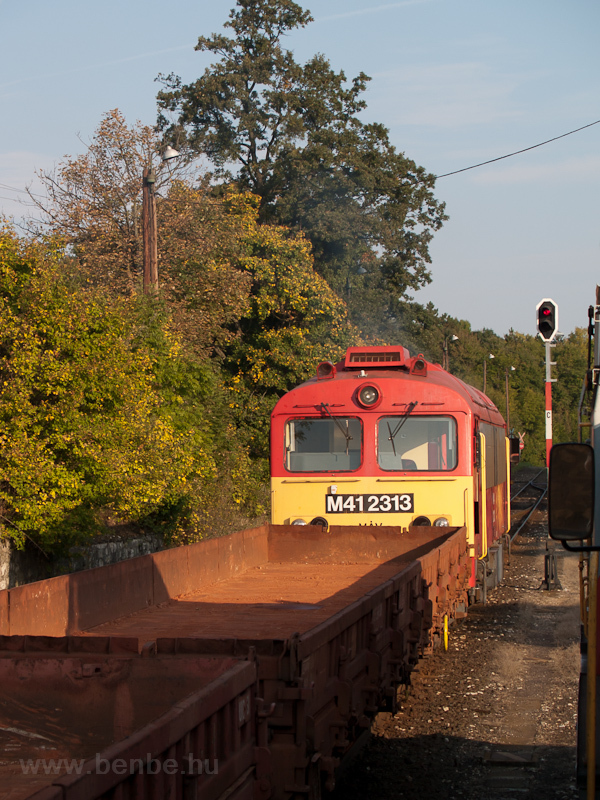 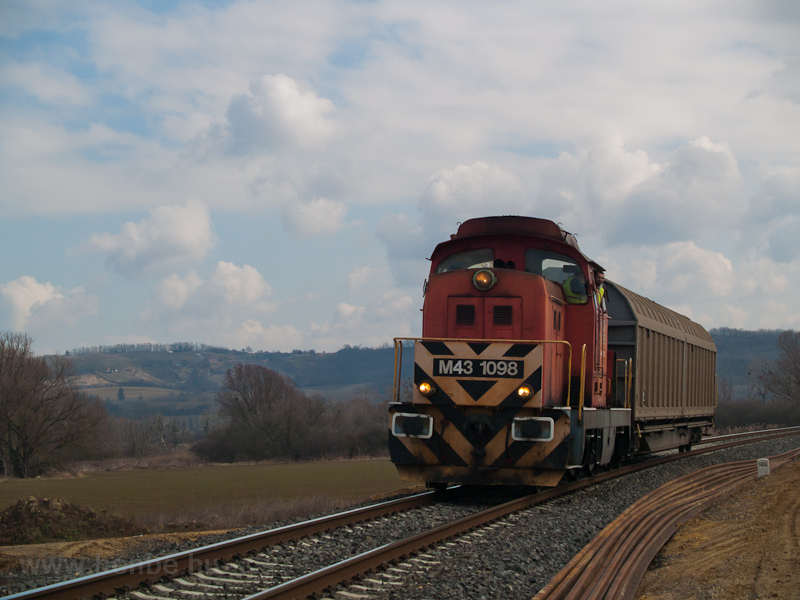 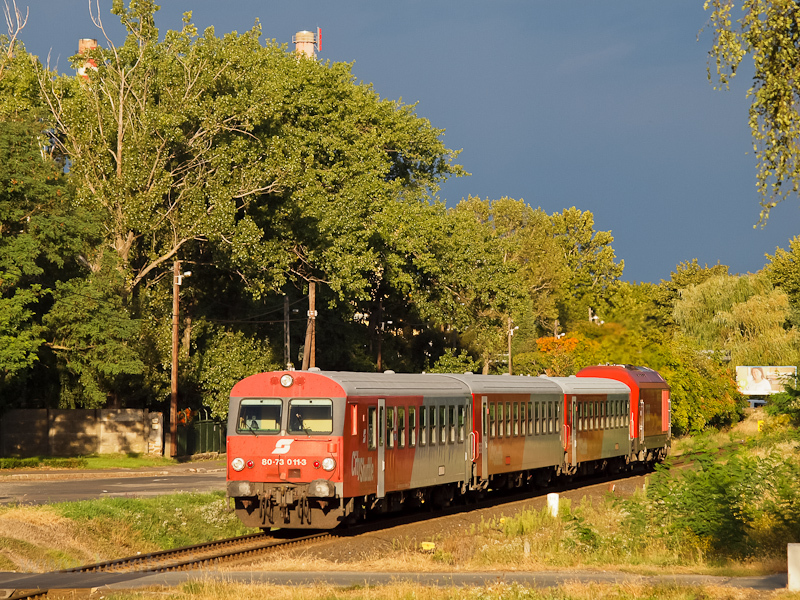 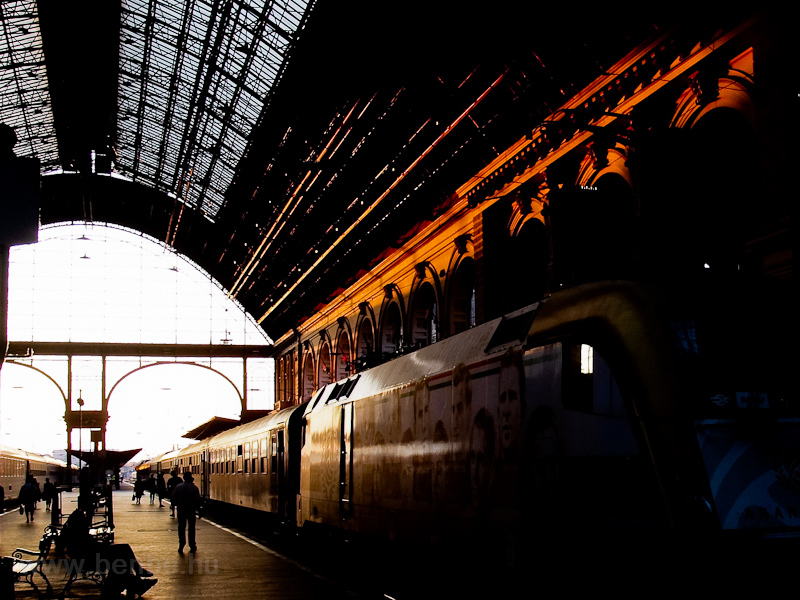 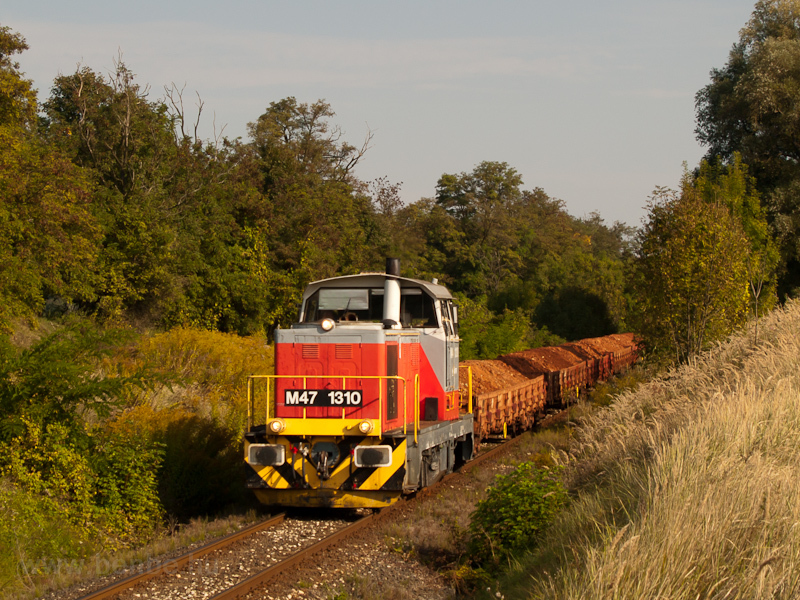 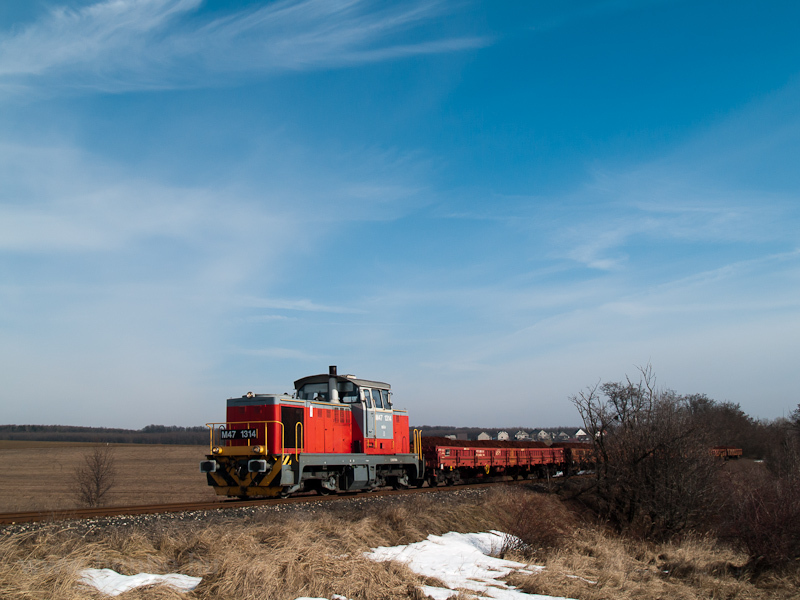 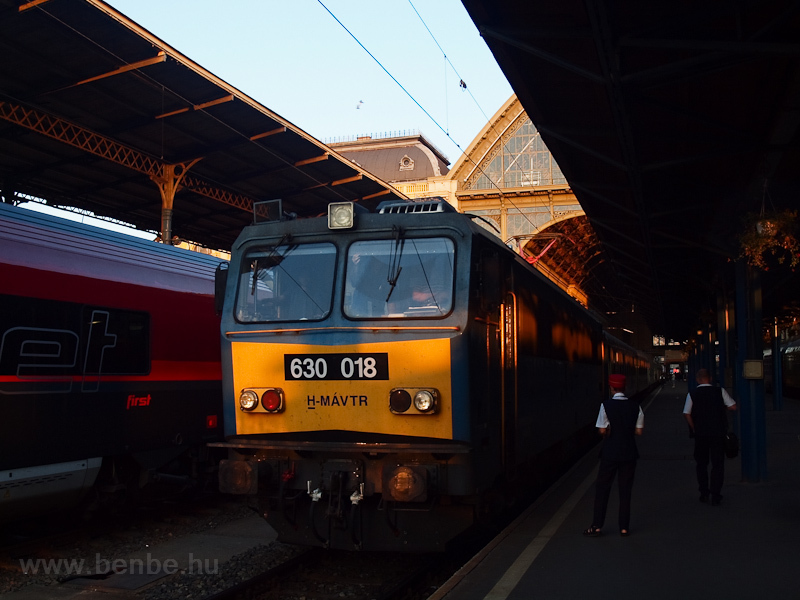 Which one do you think is the most beautiful Hungarian railway line? 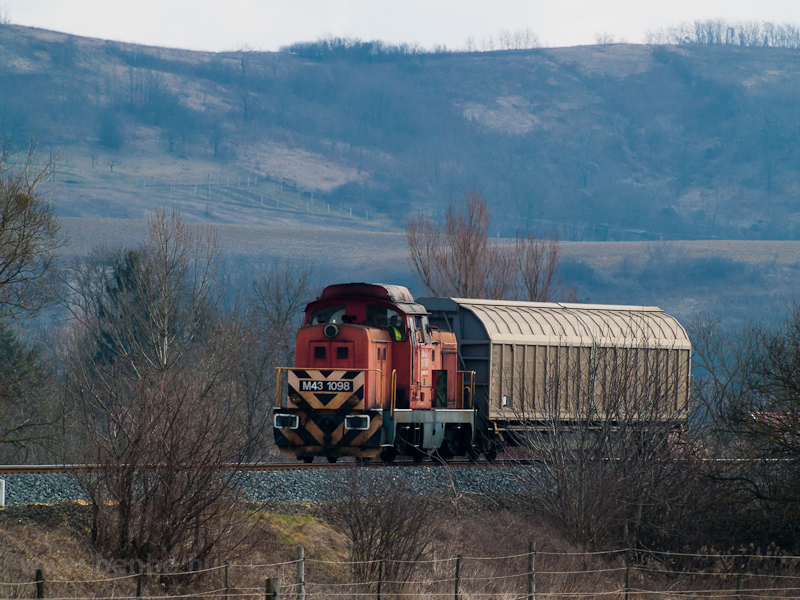 In the foreground you can see the siding of the power plant. 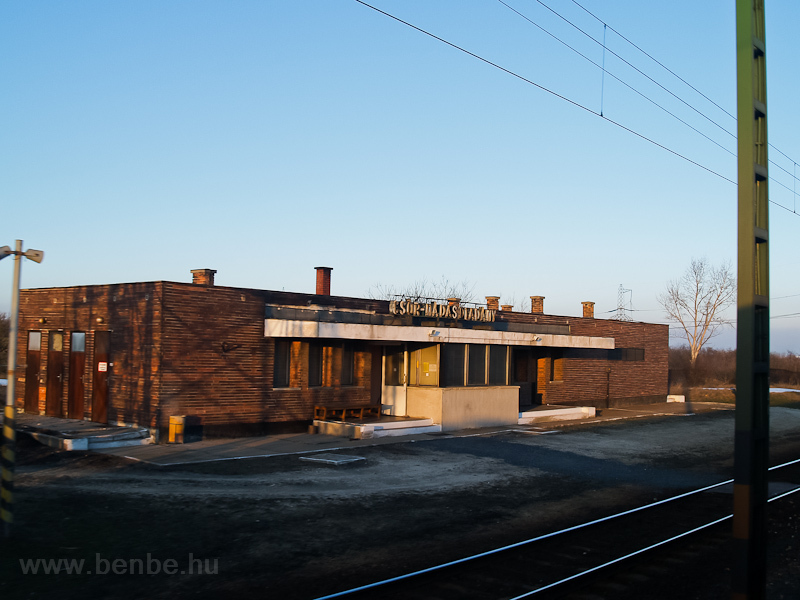 Together with Sárpentele stop and Sárszentmihály station this one has since been removed from the timetable and only serve as a passing loop. 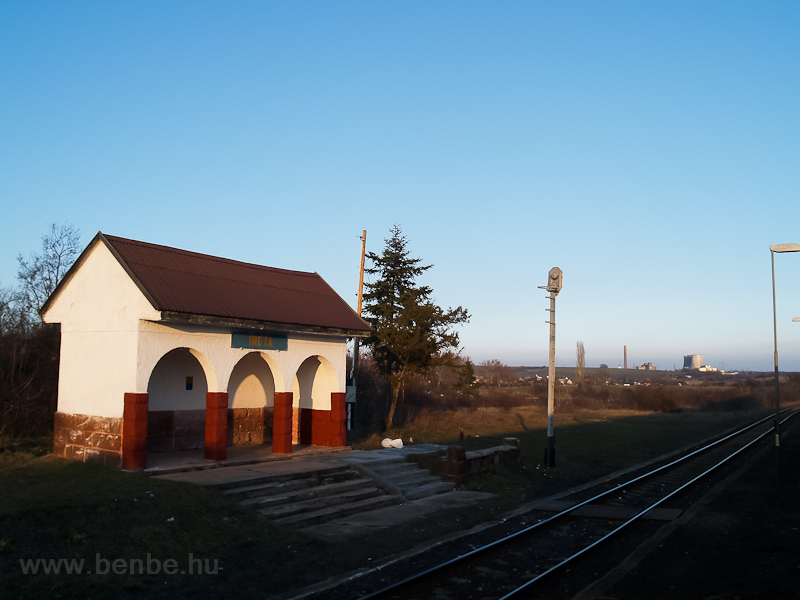 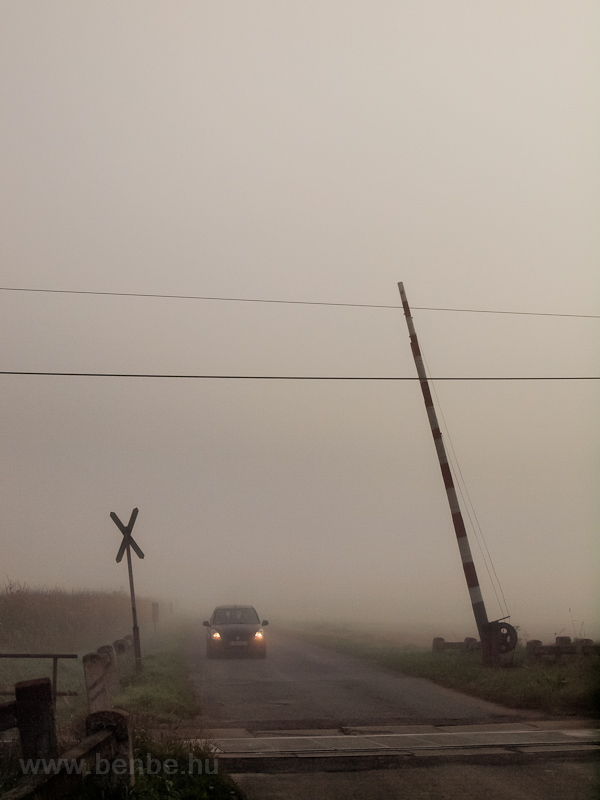 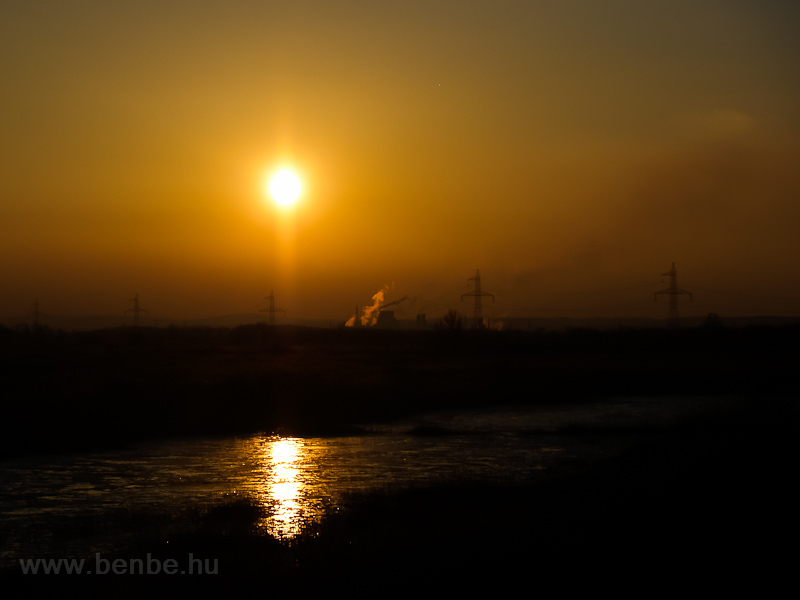 Sár means mud, and the stations are really far from the villages that can be found in this marshland. 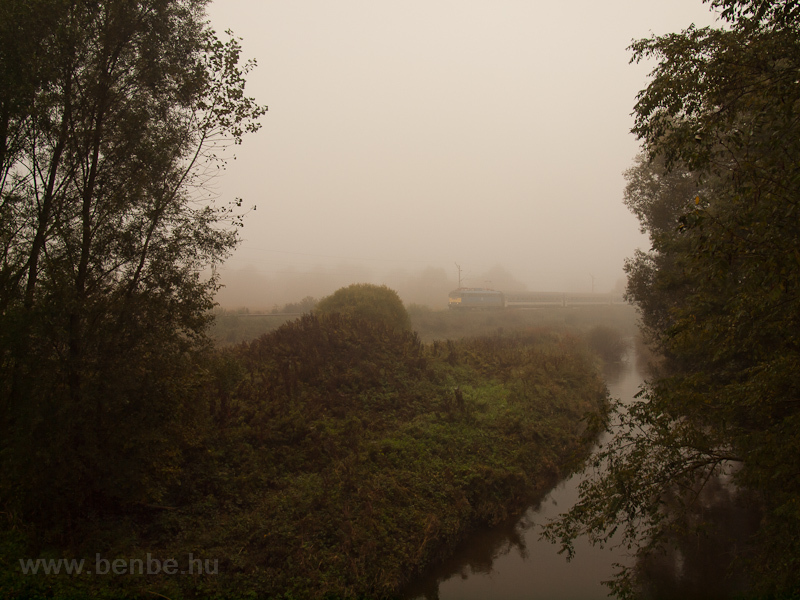 The Dráva river is behind the railway, this is just a ditch. 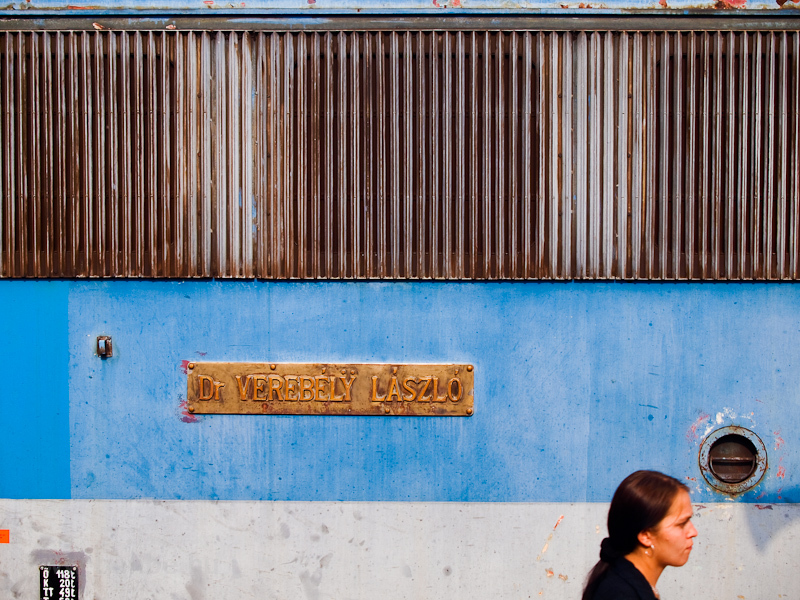 Csuszás would mean something with pasta not the intended slippery floor.